We travel while supporting and enabling innovation and ModernWork worldwide. Mynditude - Rola is a Learning and Development Manager and has a sophisticated understanding about growth mindset, inspiring methods to train people and the tech industry in UAE and the Middle East. We will probably work together in the future - a nice mindset fit! Elias is a strategy and innovation consultant and has a deep understanding about the infrastructure in Beirut and the connection between the countries development and tech scene. We got interesting insights about the possible future of Lebanon. 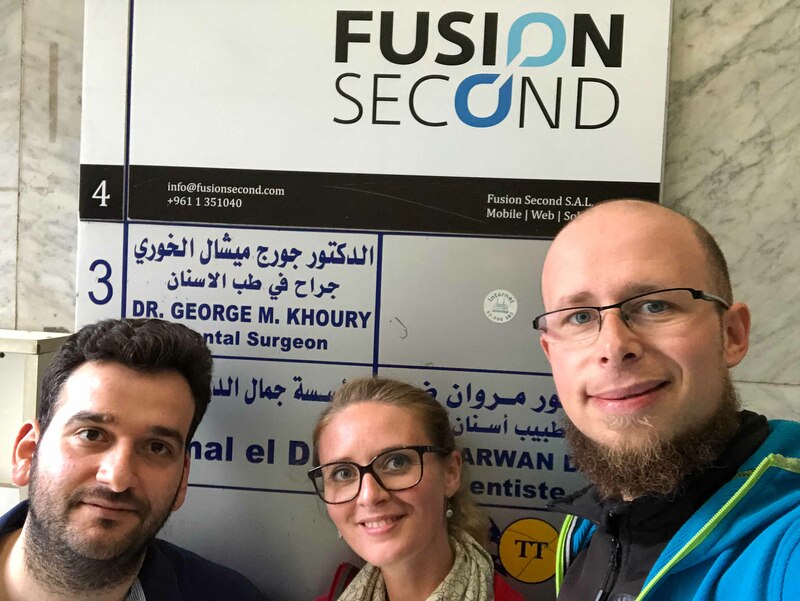 Fusion Second - We met with Founder Nour and had deep conversations about the Middle East, startup challenges and biggest learnings while working with startups and in innovative environments. In short: Beirut has the potential to attract foreign companies in the future. 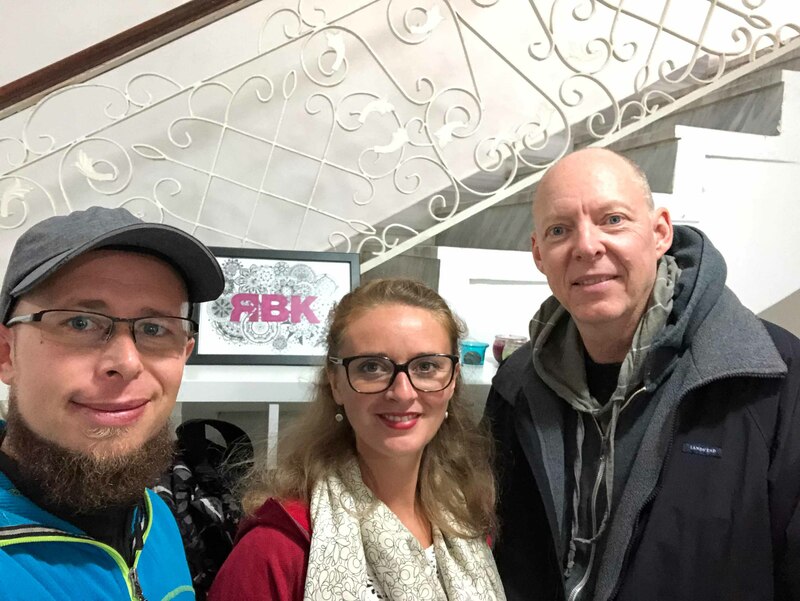 ReBootKamp - We met founder Hugh, a brilliant mind from the US who set up a program to speed up the learning process for more excellence in the tech industry. We had inspiring discussions about the future of work and the way we should train people. RoboTack - We met with Co-Founder Sarah, an inspiring and strong woman. 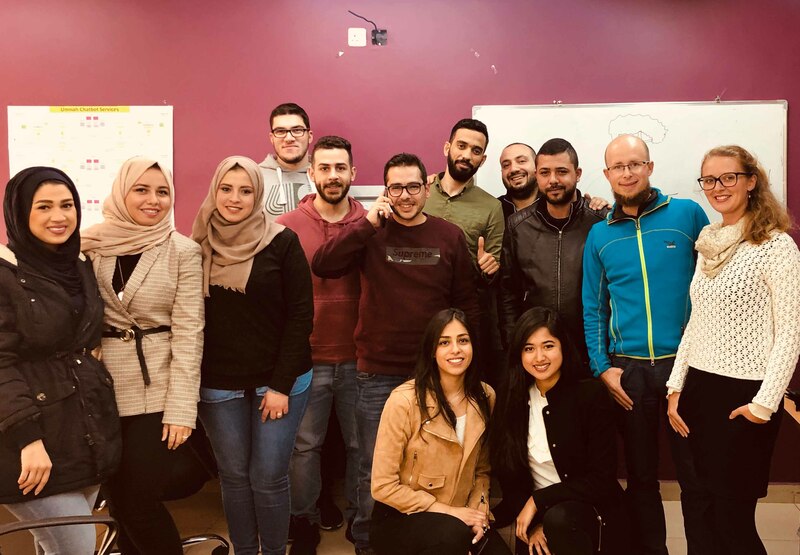 We got interesting insights about the tech world in Amman and were able to consult regarding growth pains, leadership skills and New Work insights. We will probably work together in the future. WING Delivery - We met Rami who works for the Amazon company Wing. We discussed the benefits and challenges of a start up working under the umbrella of a giant. 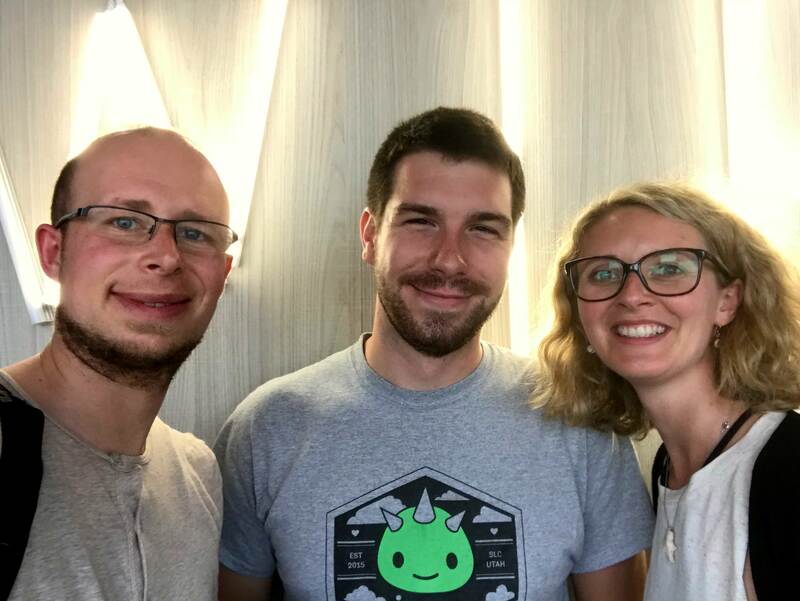 We were able to share some insights about mindset and learned about speeding up processes. TechShop - In Abu Dhabi we went to the Techshop - an inspirational Workshop with sophisticated equipment. Founders can work on their idea and produce high quality prototypes. It is a place we immediately fell in love with. Thanks, Ahmed! RAC - We meet Cettina at RAC, an expert in innovation. 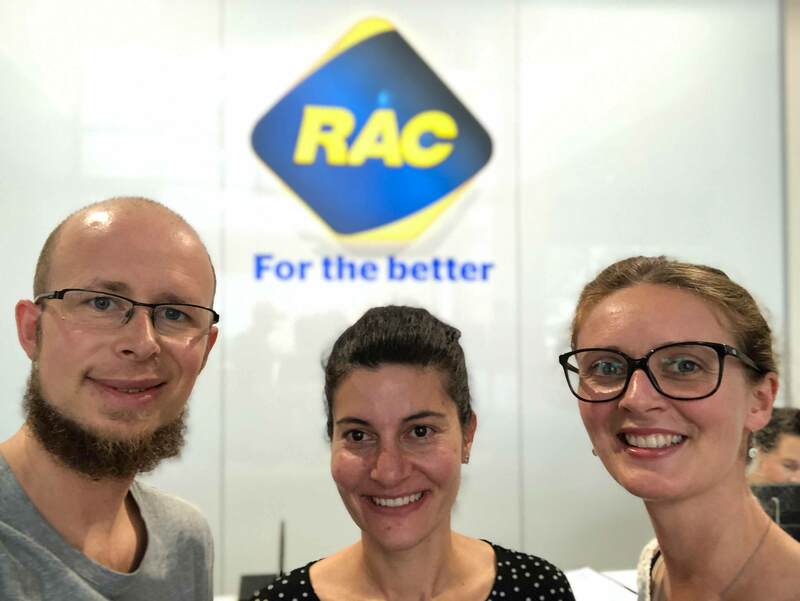 In our discussions about innovative drivers we gathered interesting insights about how to implement and create innovative contexts and mindset within big companies like RAC. 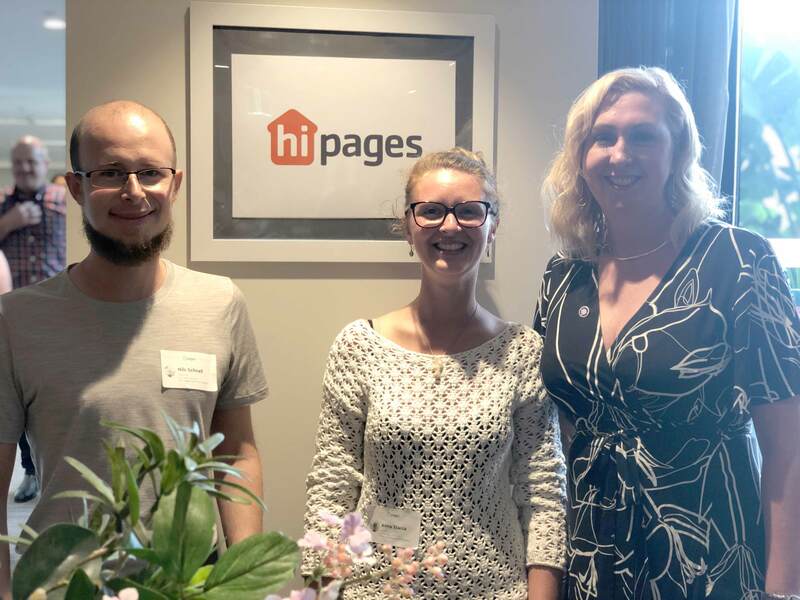 HiPages - Chief People and Innovation Officer Jodette has great experiences in New Work contexts. She is researching at the moment for innovative approaches and we were able to share our insights from the tour. 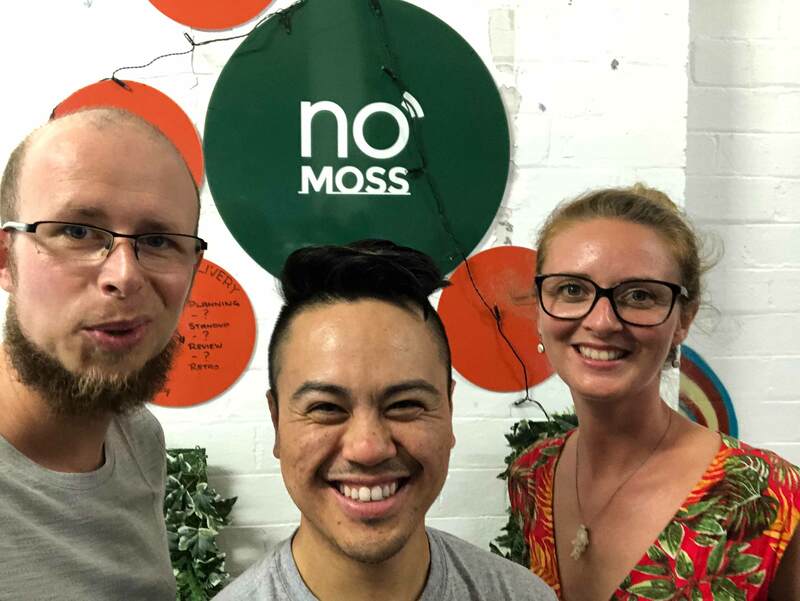 Great company and a powerful person made our day..
NoMoss - Two times we met with Steven, the Chief Purpose Officer and Founder of No Moss. Everything is different here and we were inspired and impressed at the same time. We already have good ideas for our own approaches at MOWOMIND and for our clients. 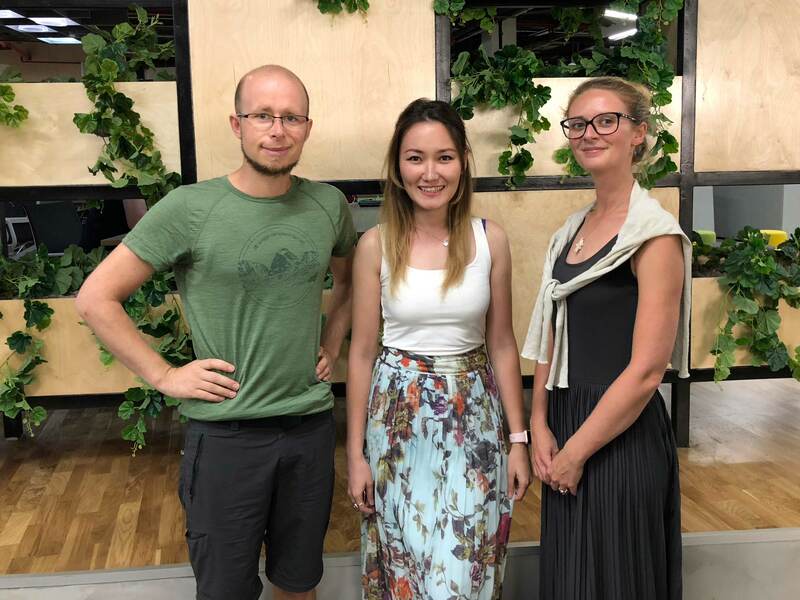 Atlassian - With former colleagues of Nils from his Jimdo time we got insights about one of the most hyped tech company in Australia. Interesting approaches and successful growth are showing that Atlassian is doing many things right. Agile Coach - Maria is an experienced agile coach with a great mindset. 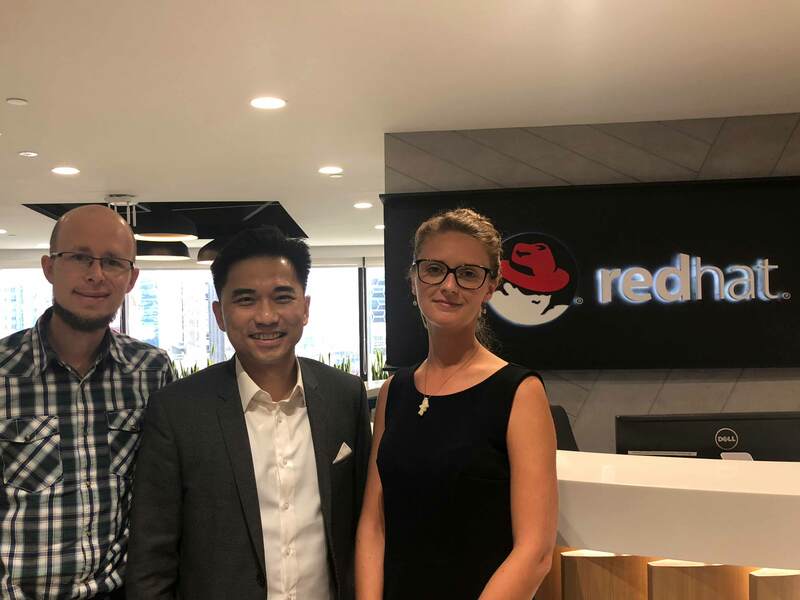 We discussed challenges of cross-functional teams in Australia and what the core of agile approaches is. We got interesting insights about agility in Australia and how it gets embodied. 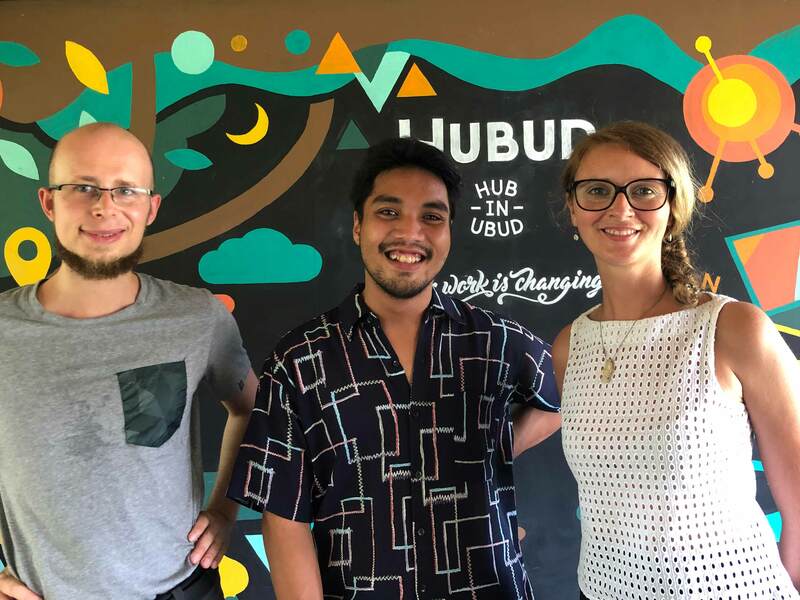 Hubud - One of the most vibrant Hubs we have seen so far on our tour. 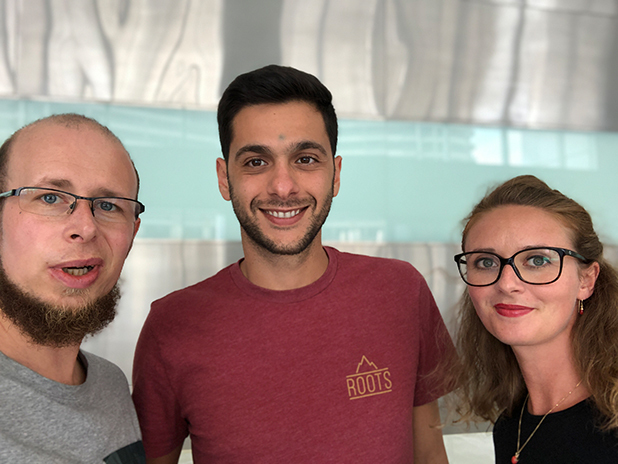 We talked to the Event Master Kasyfi about digital nomads, opportunities of modern ways of working and the way deeply connected communities can learn from each other while. Workcation - We finally took the time to write on our book about New Work and were able to get a major part done. We are looking forward to finalizing everything and getting our first book about innovative ways of working published. Bali was the perfect destination for that. 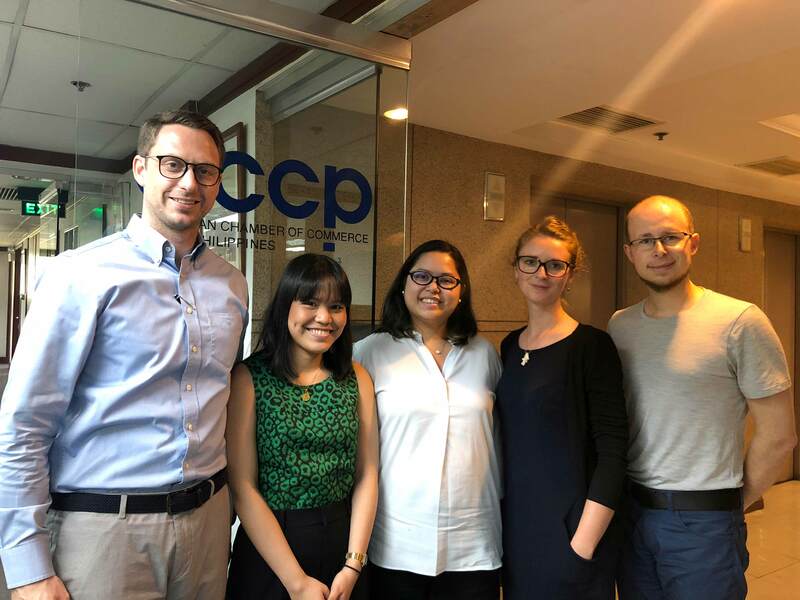 ECCP - We meet the Florian Gottein, Executive Director of the European Chamber of Commerce of the Philippines and discussed the upcoming trends which are start rising in the Philippines. The ECCP plays a huge role in connecting international Companies with local opportunities. Avail - With Bea, CEO at Avail.at, we talked about challenges of modern companies, the benefits of the Philippines and why it is a good time to work in cooperation with local companies. Interesting insights and new perspectives on the local market were quite eye-opening. 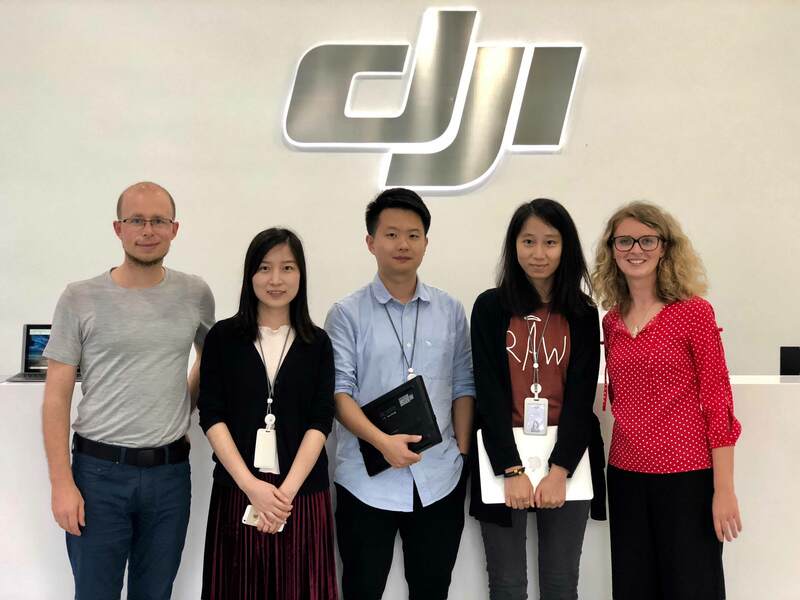 DJI - The world leading company in drones. 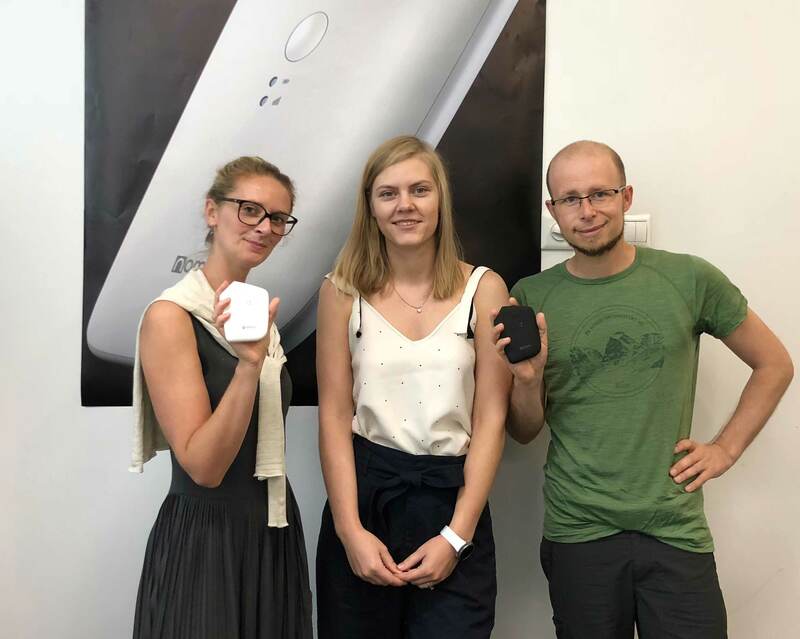 We pitched ourselves into it and had the possibility to give an input and some consultation about communication, innovative methods for groups and were challenged by many questions from the sales and marketing team. SF Express - We were able to get a meeting at S.F. 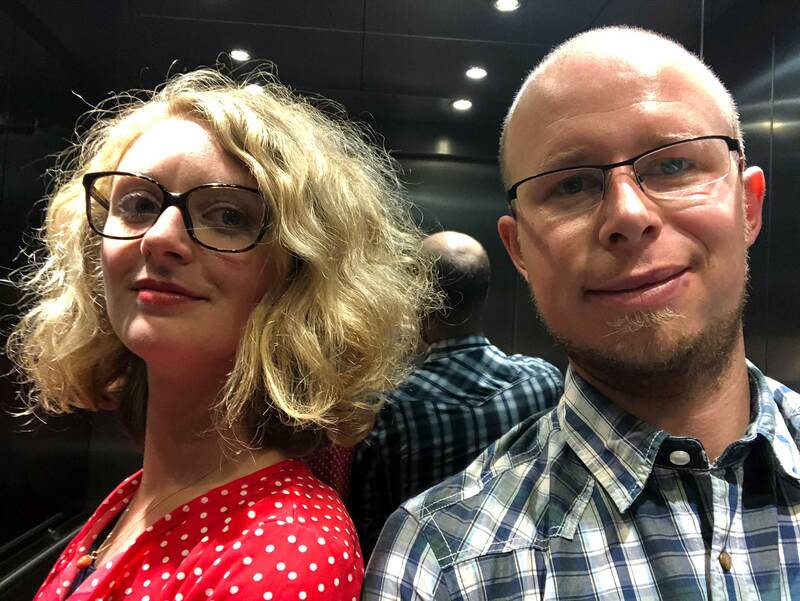 Express with Desong, experienced agile coach and on a mission to bring agile mindset and modern ways of working into the fast growing company. So far there are 400.000 employees. We were able to consult him! 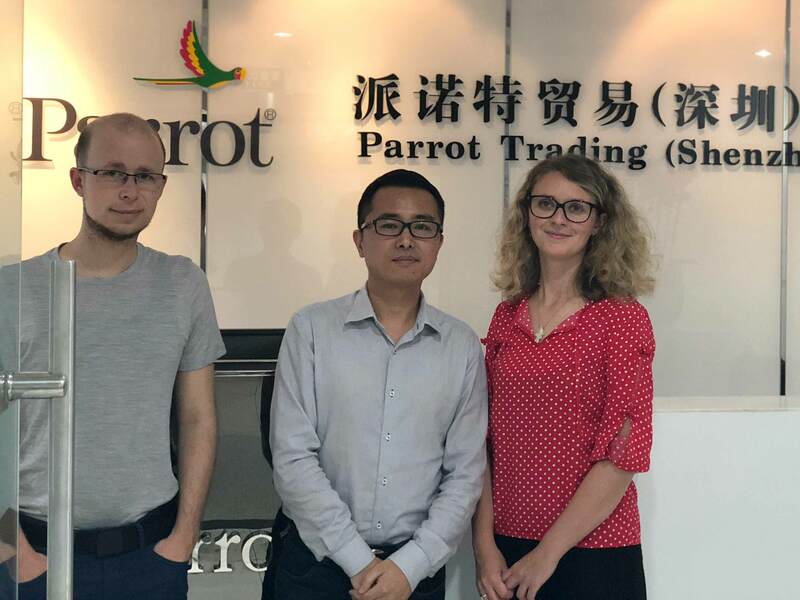 Parrot - Meeting this company which is specialised in drones and applications was really interesting. 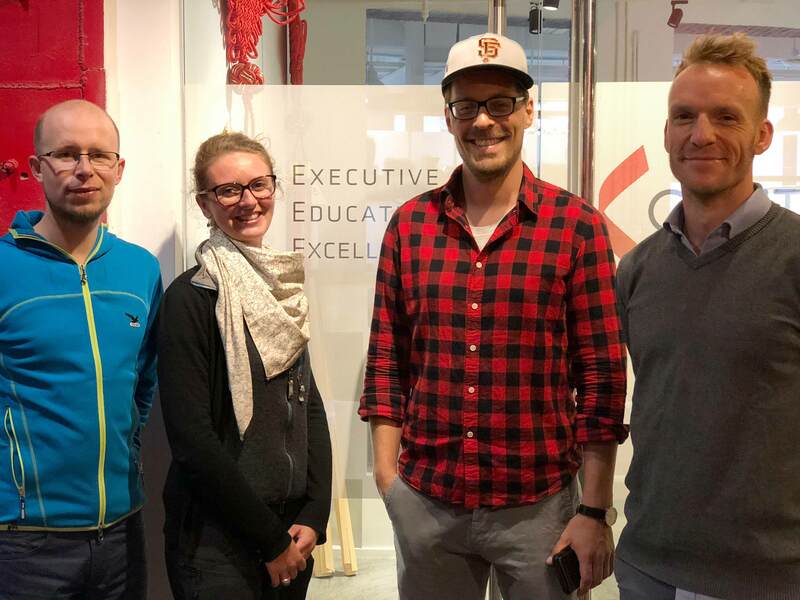 Instead of the 20 minutes we had the chance to expand for one hour and give some impulses as well as getting insights about their visions how to grow and expand. Mittelstand - Meeting Martin, specialist for manufacturing companies was really insightful. Shenzhen is the heart of all manufacturing based successful Chinese and Western companies. The growth in Shenzhen seems to be unstoppable. 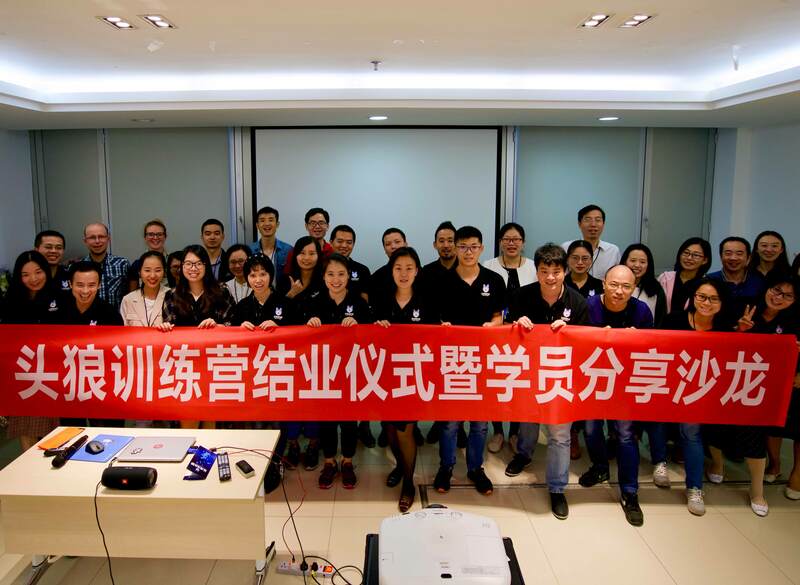 SF Express - We had the rare chance to join the agile league meeting and giving our feedback about our impression as well as our opinion about the importance of modern ways of working and agile approaches. A privilege and for sure something really special! AIA - We met Xiaoli who works in China for Contur. 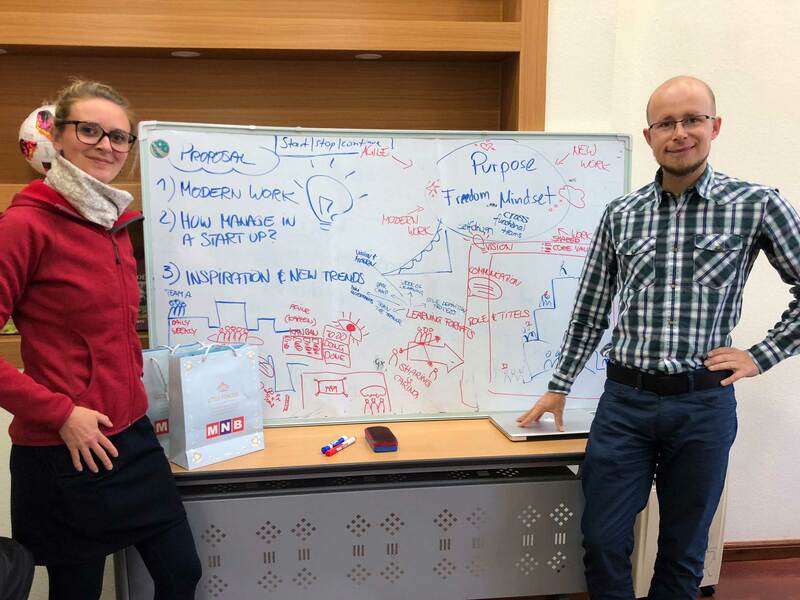 With great drive and knowledgeable skills we were amazed to find a like minded person here in Shanghai when it comes to using visuals and flipchart creations on a daily basis in order to have more impact! 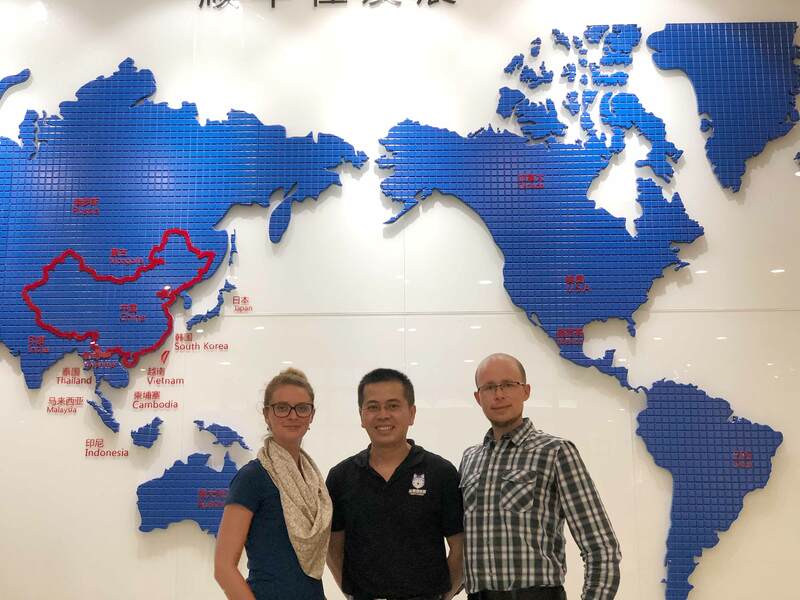 Xnode - We had the privilege to meet Wei Zhou, the successful series founder and MD of Xnode. 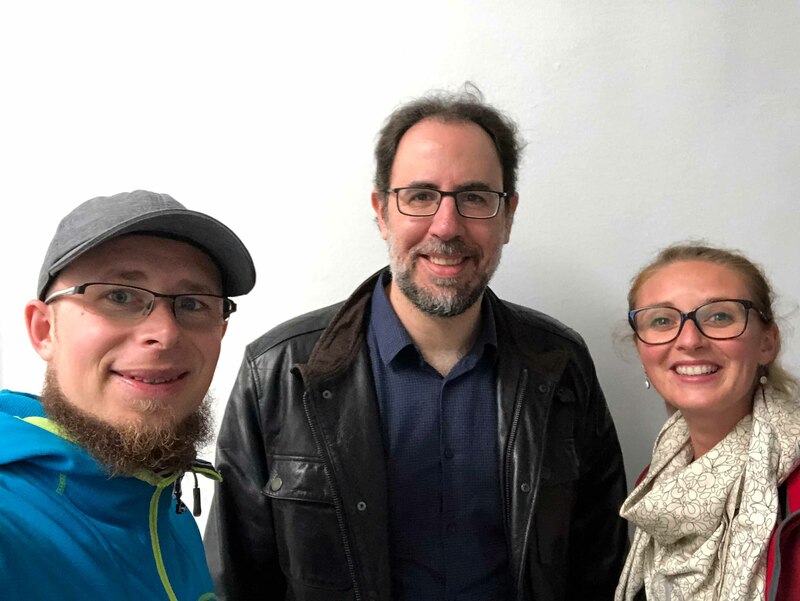 We had inspiring discussions about work environments and deep insights into the strategy of Xnode and the fast way how to make startups and corporations successful! ECube - Meeting Philip and Peter was a great please. 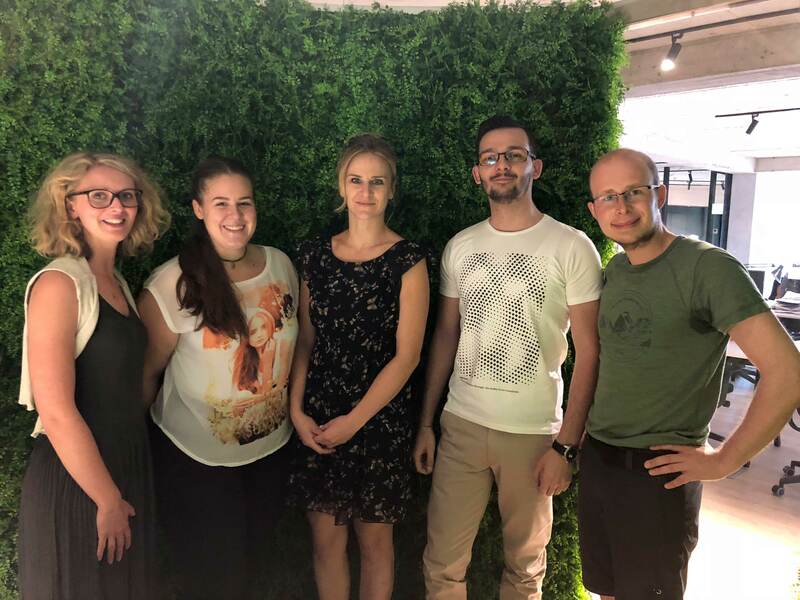 We had directly deep and constructive knowledge about new and innovative topics, the challenge of improvement and the idea to find viable approaches for individual contexts. We will probably work together in the future! 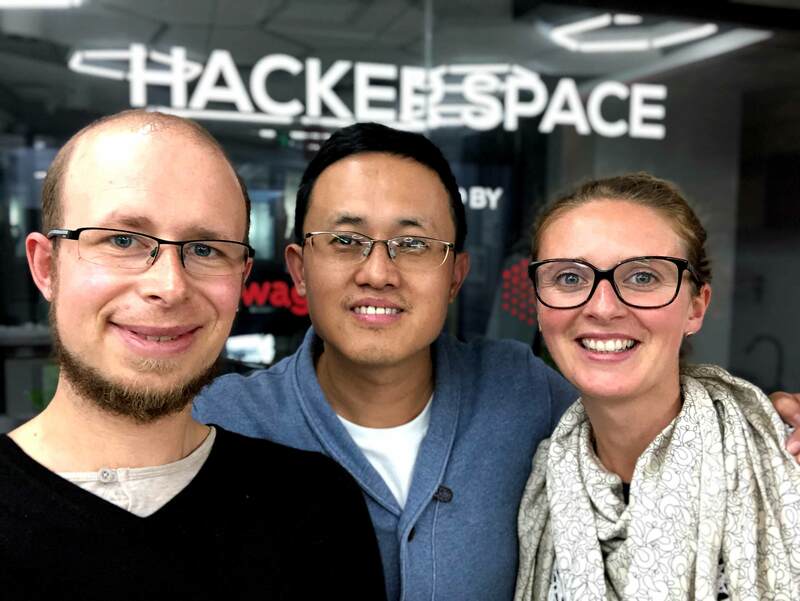 Constellations - We met with Magali, co-founder and since many years in China. We had the chance to discuss and exchange about people centered methods in further development, the importance of sustainable approaches and visual facilitation. German Center of Industry and Trade - Meeting Matthias, the Deputy General Manager was interesting and insightful. We had the chance to learn a lot about the necessity for western companies to be present in China. Great discussions and an interesting interview as well. 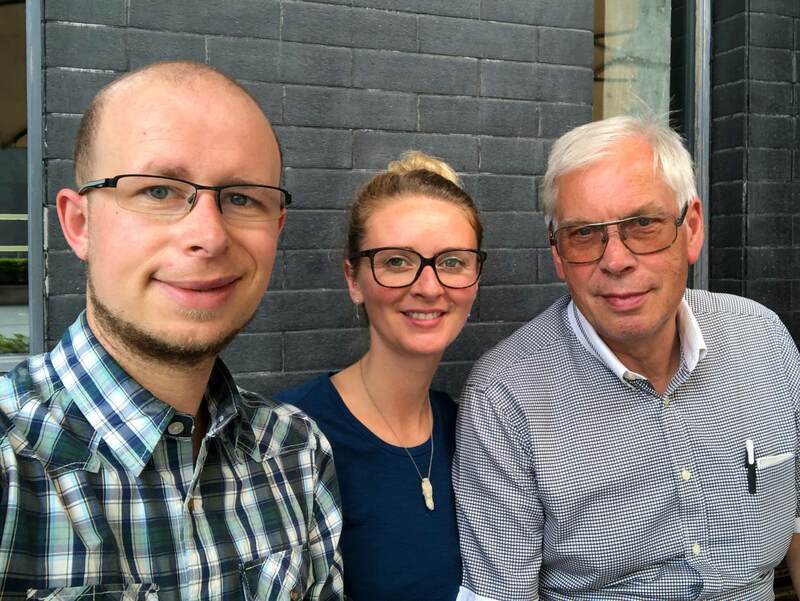 Mittelstand International - We met Karl Heinz, General Manager and since forever in China. 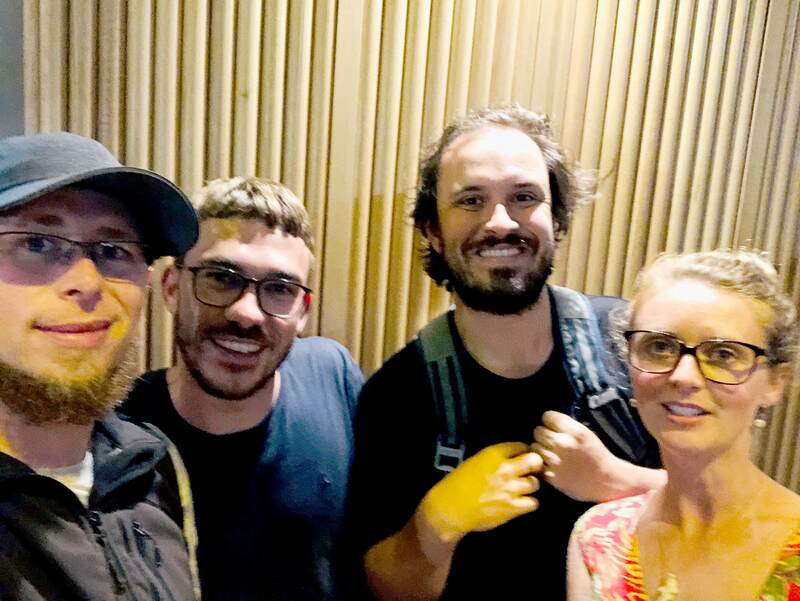 Getting insights about his experiences in connecting companies from the western world with China was was really interesting. China is becoming the most important market. 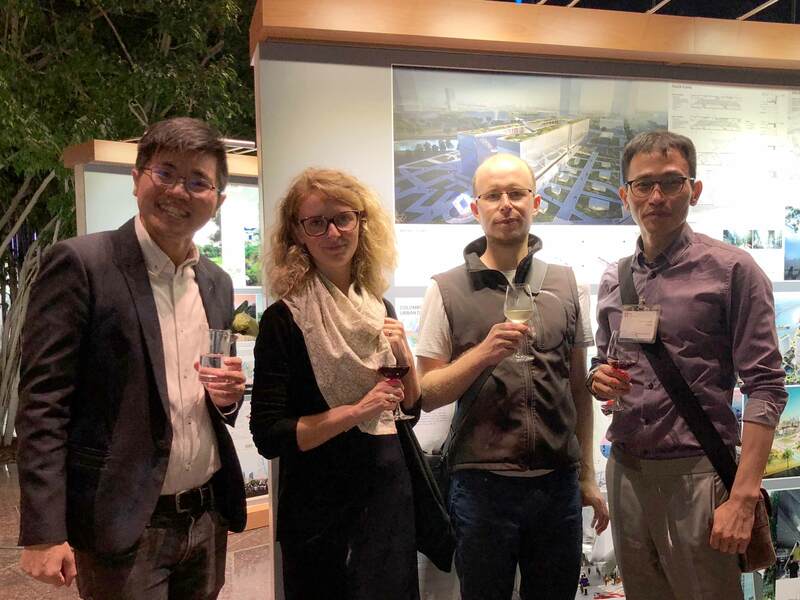 InterNations - We decided to go to one of the networking events in Shanghai, the Internations event. And for sure it was worth it. 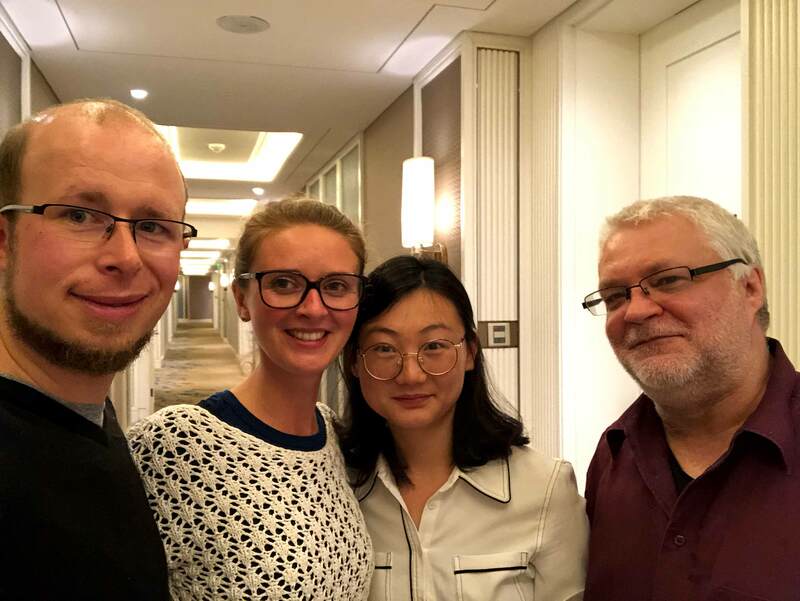 Not only did we meet interesting people from around the world, we also were able to gain some good insights into expats world here in China. 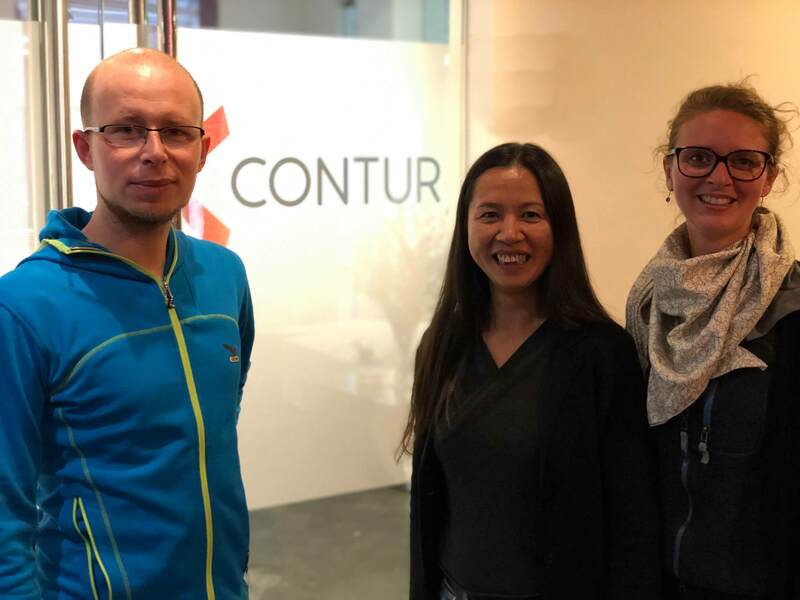 Contur GmbH - We met Xiaoli who works in China for Contur. 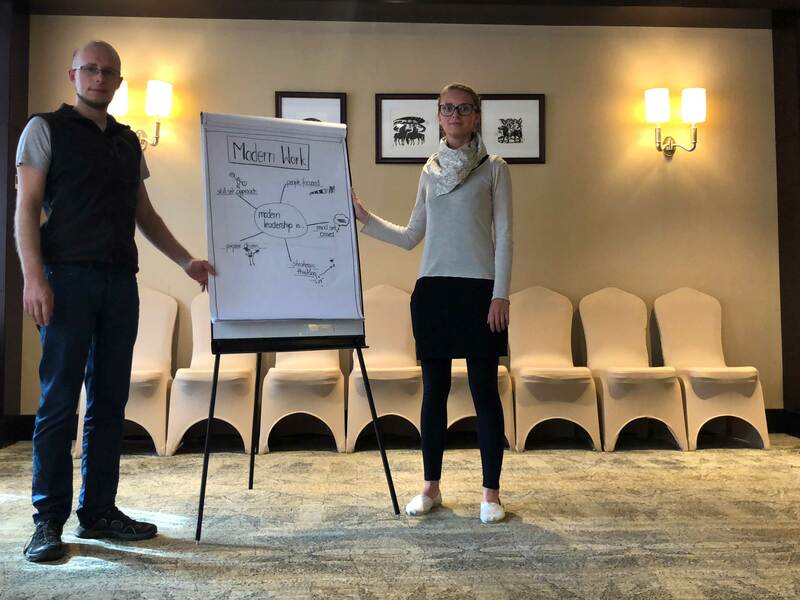 With great drive and knowledgeable skills we were amazed to find a like minded person here in Shanghai when it comes to using visuals and flipchart creations on a daily basis in order to have more impact! 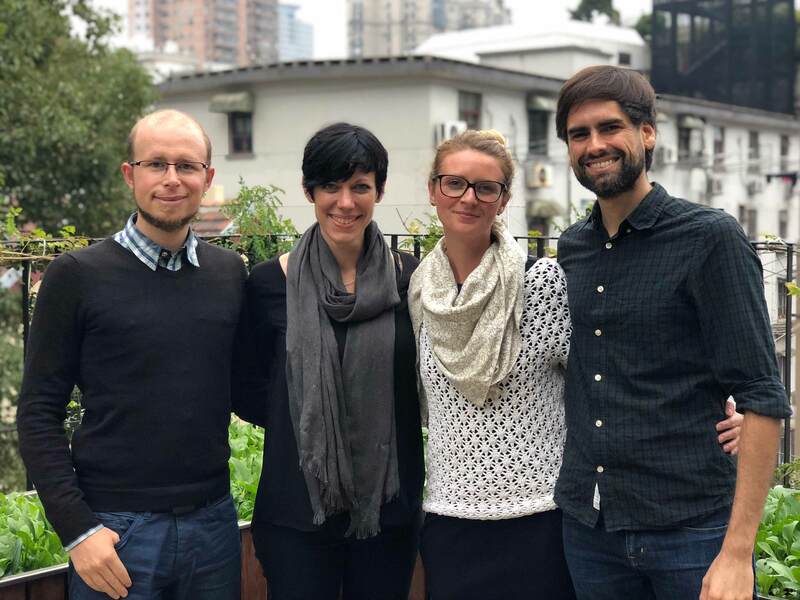 Kathai Magazin - We met with the editors Sven and Lilli from the Kathai magazine and had interesting discussions about culture, work ethics and social credit systems in China. We will write an article for the Kathai.de magazine in order to share our experiences about China! 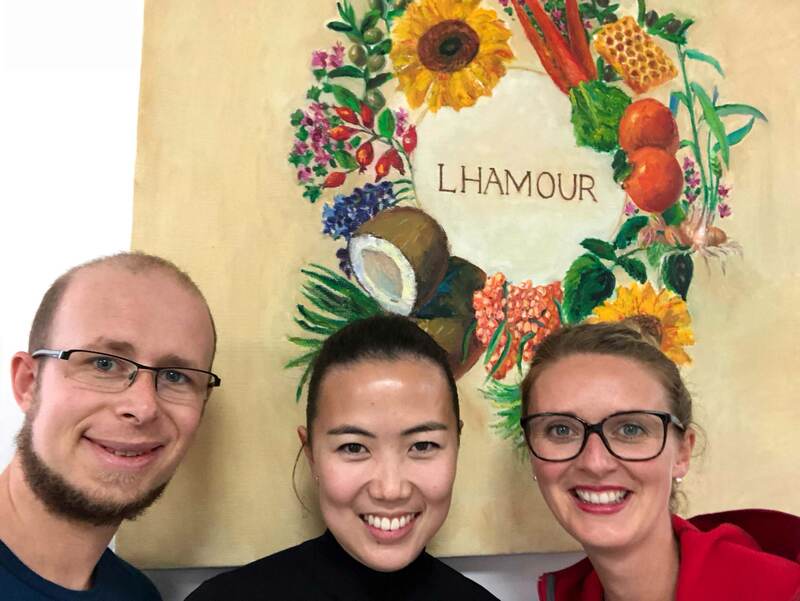 L’hamour - We had a very constructive meeting with wonderful founder Khunan and intense disc-ussions around leadership challeng-es, personal growth and the balance between time for strategic thinking and hands-on work on daily topics. Be curious about the interview! 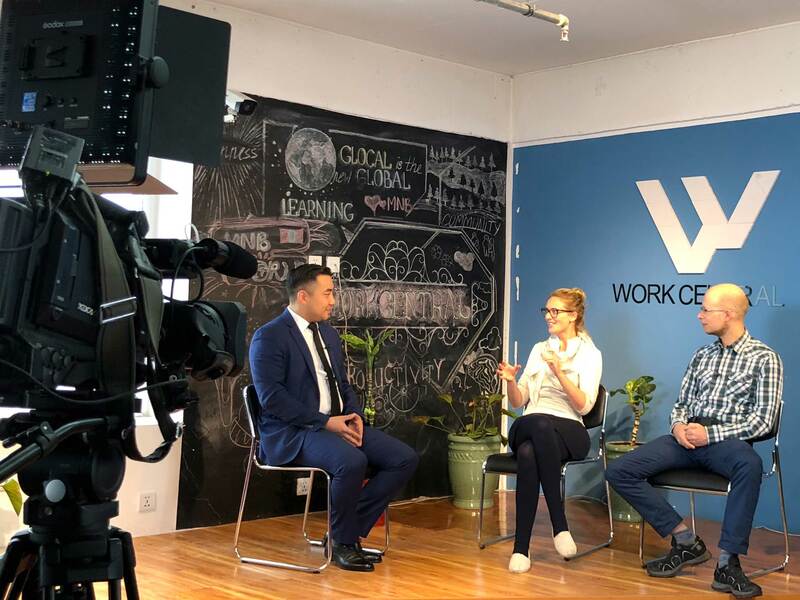 TV-Interview - Curious about our #modernworktour we were asked to tell our story and the approach of ModernWork on national TV. We were able to spread the word about innovative work environments and the importance of purpose driven work. Tandem Coaching - We gave an interesting co-coaching session for a top manager. We challenged and support the personal ways of dealing with the role. We supported the reflection of self-leadership and balance between the ambitious job and personal growth. 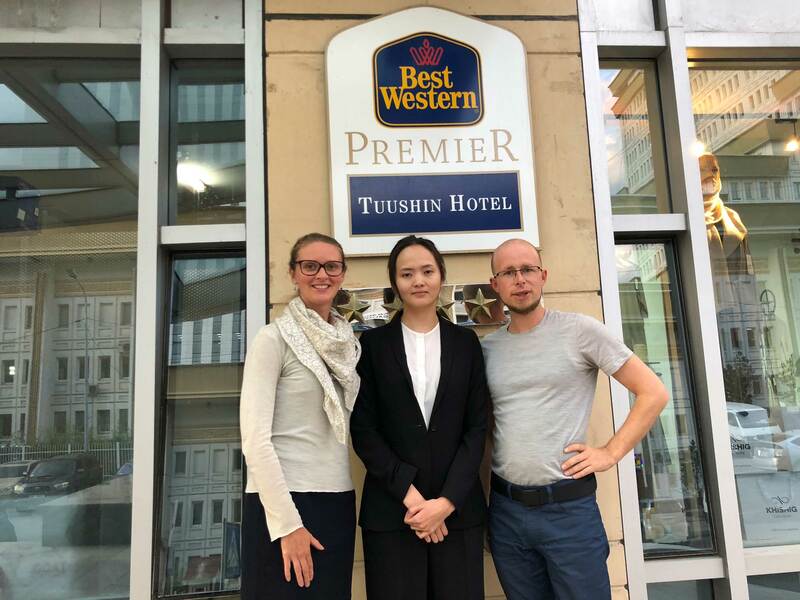 Best Western Premier Tuushin Hotel We had good discussions with the General Manager about the challenge to offer the perfect service on a western standard while dealing with cultural differences. Mindset, awareness and reflection are keys for purpose driven success. 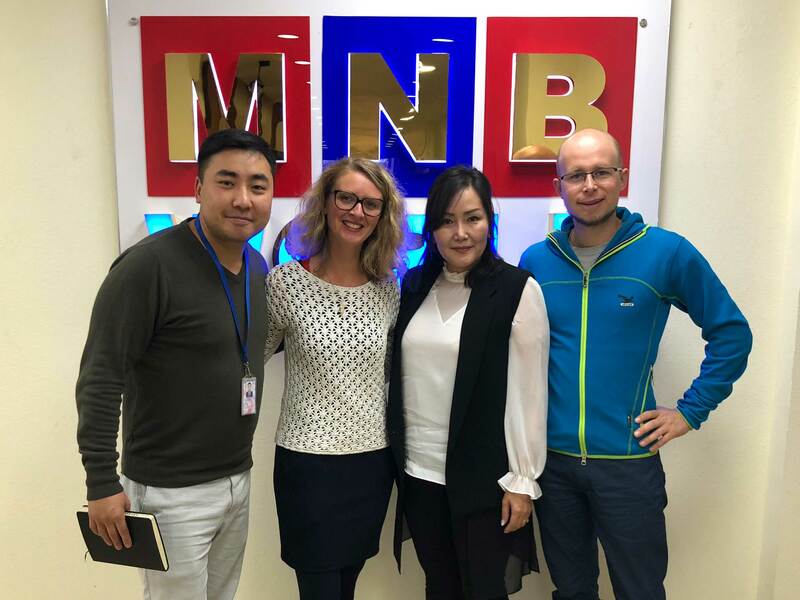 DMUV - We met the Managing Director of the German Mongolian Business Association. We discussed the challenges of cultural differences and the Mongolian potential besides the coal industry. 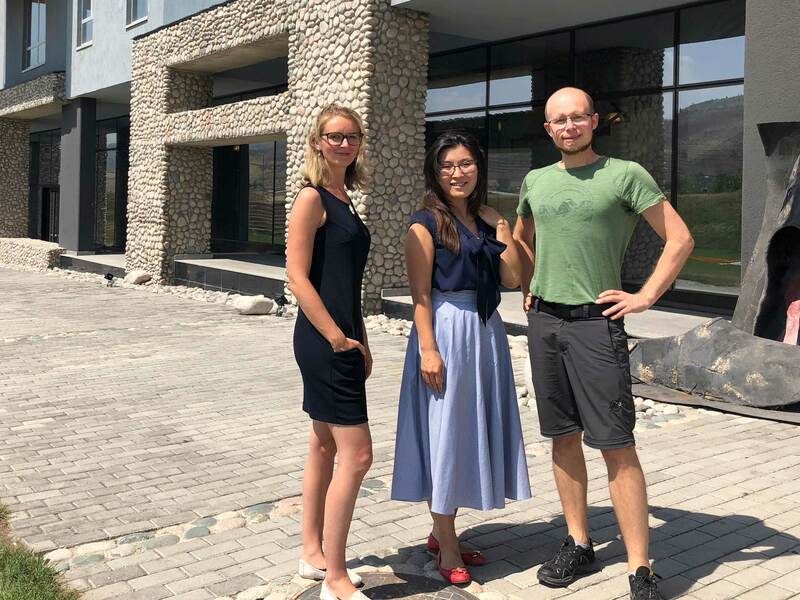 The DMUV connects German and Mongolian companies and supports them. 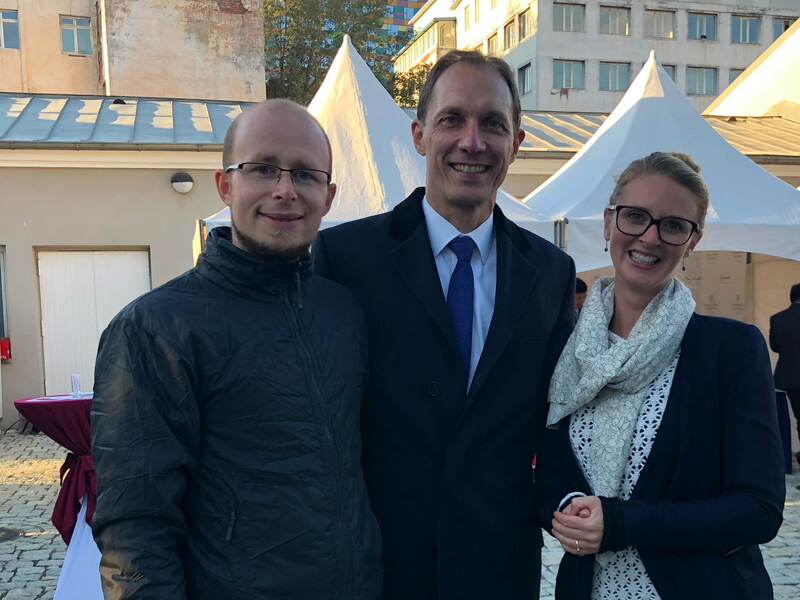 German Embassy - We were invited to the exclusive summer event by the Embassy and the DMUV and had the chance to speak and connect to the biggest companies in Mongolia as well as German companies with branches there. An interesting event and a lot of networking. 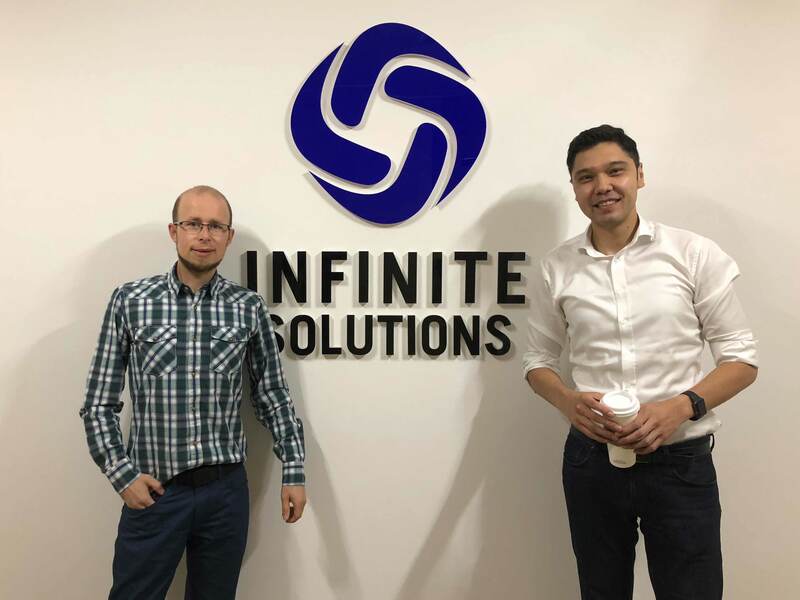 Infinite Solutions - We had interesting meeting and consulting session with co-founder Gabit. The challenge of growing without losing touch to the base as well as finding time for training and learning sessions was focus of our meeting. We will probably support this IT company. Format planning - We spend some time on developing a new approach to help founders and managers even more. 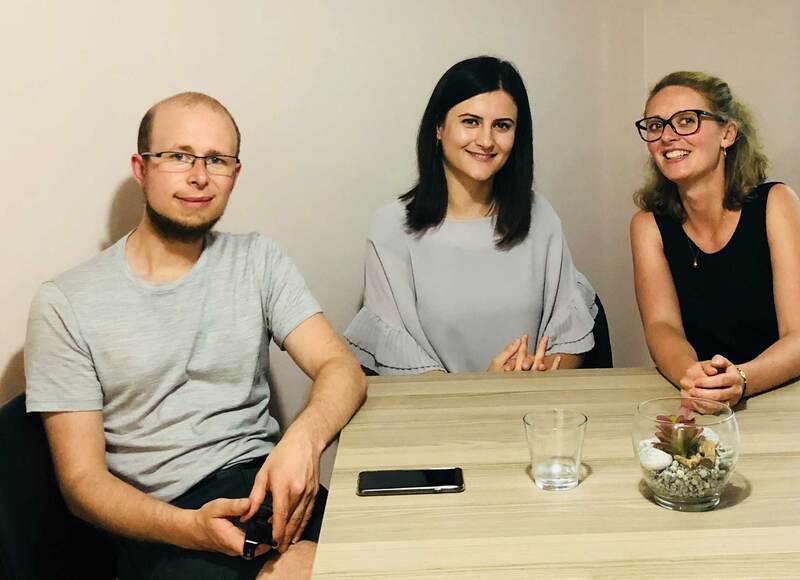 We will do another round of co-coaching and support a general manager with two coaches, a flexible agenda and inspiring as well as critical questions. AUCA - We met the director of the learning center from the famous American University of Central Asia. We discussed modern ways of teaching and how to innovative lectures. One idea is to train the lecturers in innovative didactics and methods to improve to a new level. 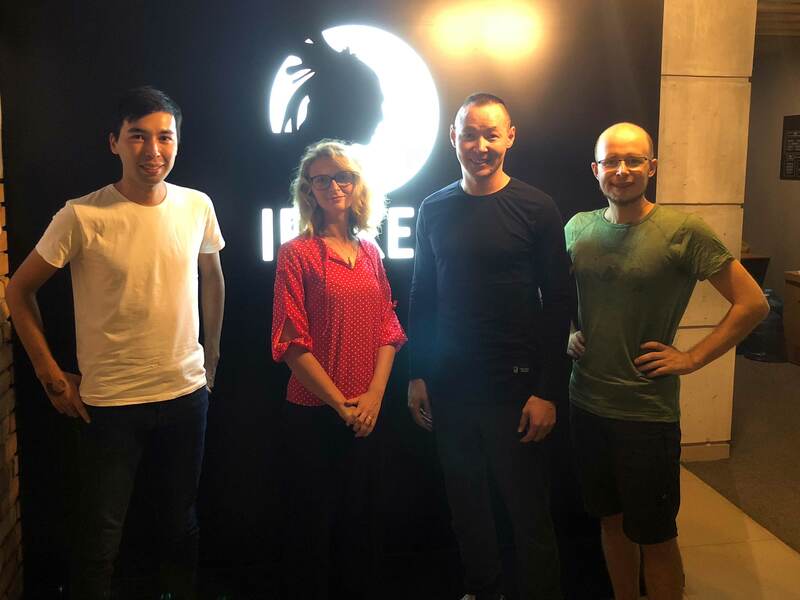 Irokez - We met co-founder Mirlan of his young and dynamic IT company which is focusing on gaming. They developed an innovative culture within the company and are on the way grow even more. We consulted them regarding leadership topics as well as growth strategies. HR-Bot Kazakhstan - For us and a lot of German companies the HR-Bot technology is highly interesting. It can save a lot of time and work during the recruiting process. 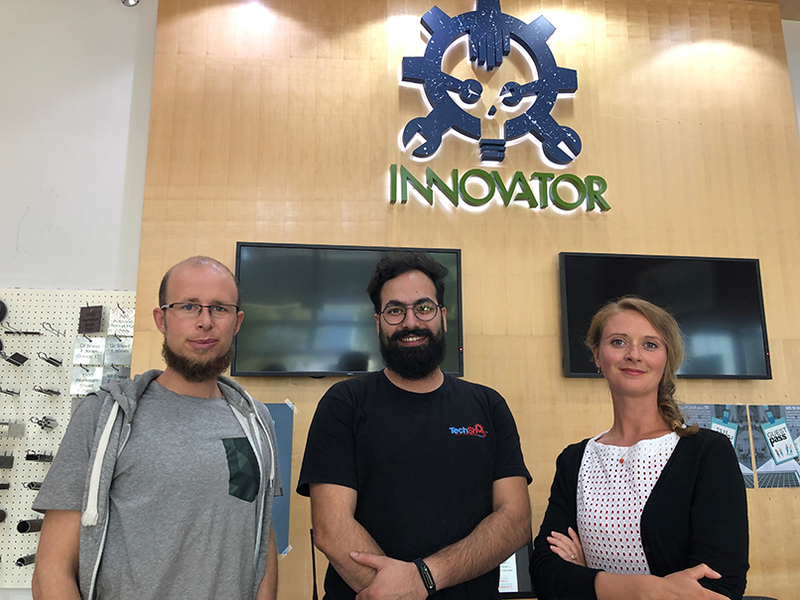 We talked with CEO Ruslan about the strategic and future development of this start up and how to create a vivid vision. 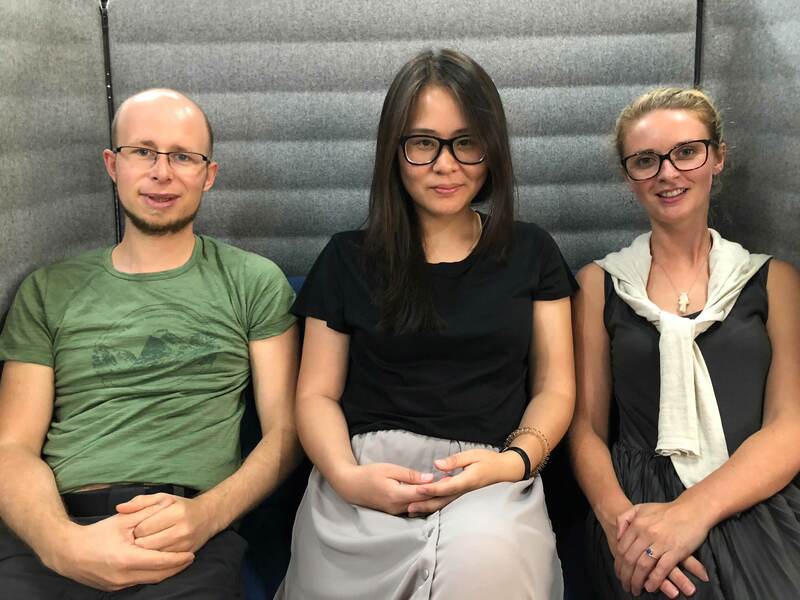 Nommi - The discussion with the CEO Alyona of this small but dynamic start up about it's innovative product was very interesting. We also talked about the future vision and the next steps. Especially as travellers and trainers the innovative "Robin Hood" (Forbes) is interesting for us and our ModernWork Tour. 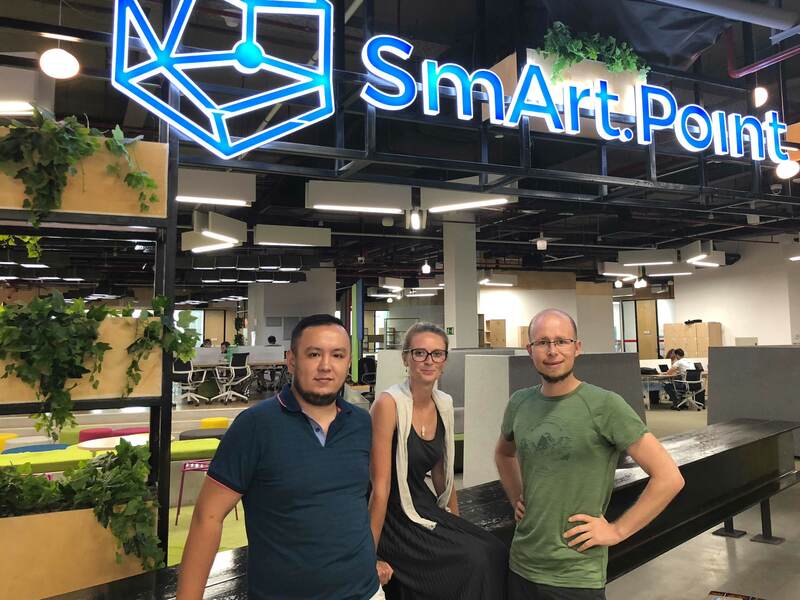 Smart.Point - It's more than just a Co-Working Space in Almaty. It's an innovative place for creative and modern people who want to create their businesses with cultural values for the society. 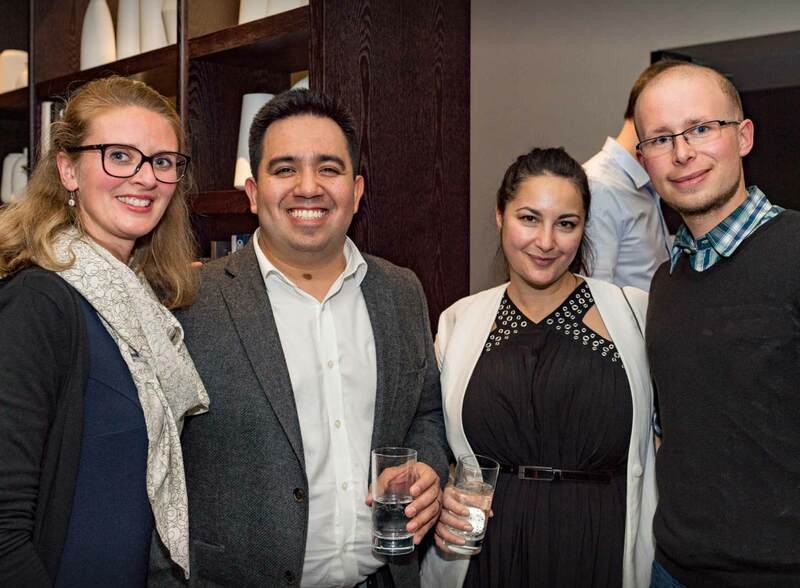 We had a great meeting with Alisher and a lot of fun with all these like-minded people. Eventbrite in Europe. With CEO and co-founder Moldir we talked about ticket selling and the Asian market. In this phase the future vision of the company will be very important. neupusti - As lectures at universities we see the value this platform! 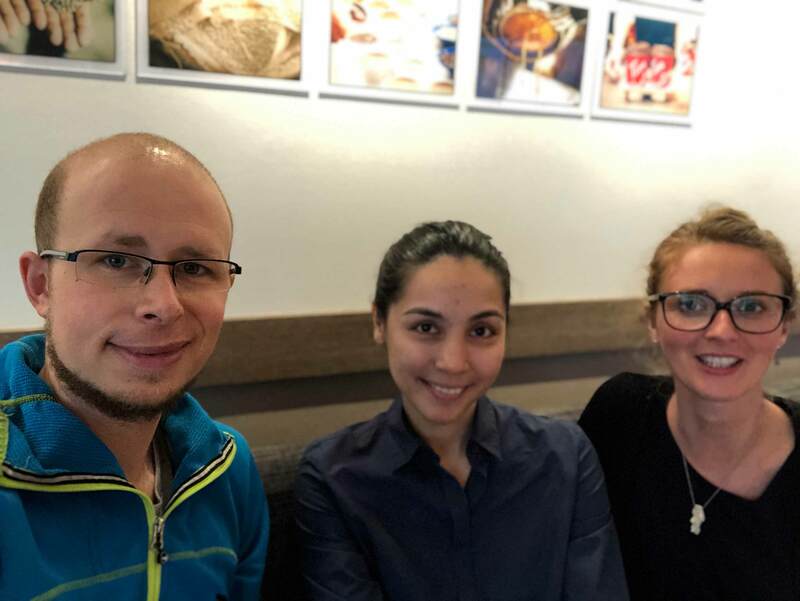 CEO Dina wants to give students the chance to exchange and study in Kazakhstan. We discussed about networking and it's direction in the future. We will support the approach! 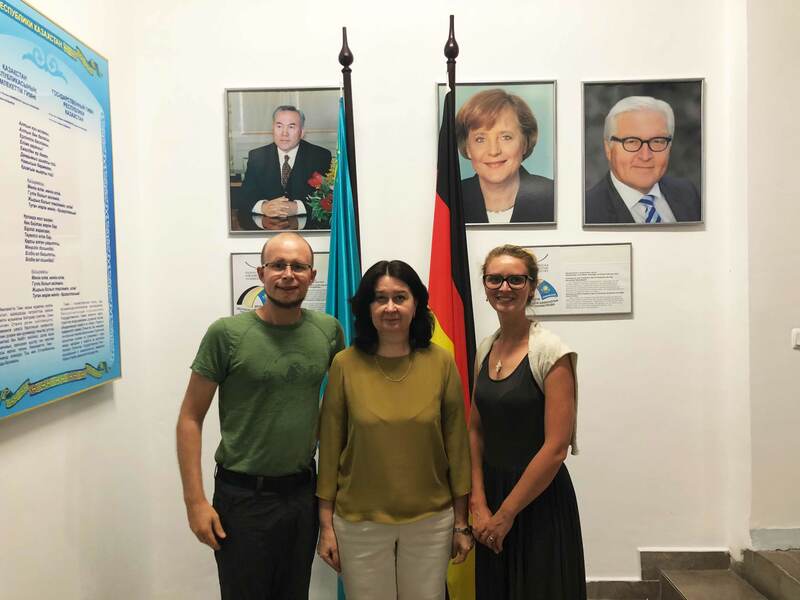 DKU - The German- University in Almaty offers different dual programs on a German standard. We talked with president Prof. Dr. Olga Moskovchenko about accreditation and possibilities of cooperation in ModernWork topics. We will probably consult in the future! AHK Central Asia- We met the director of the German chamber of commerce and had interesting discussions about modern ways of working. Our conclusion was, that it is still a long way to go for the ‘Stan-Countries’ regarding ModernWork and purpose-driven approaches. 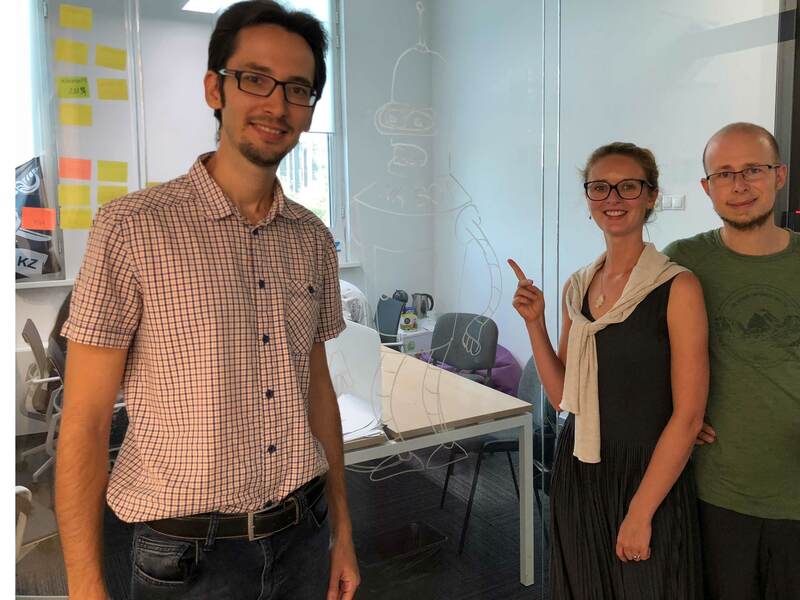 Georgia's innovation and Technology Agency - We met Salome, who is the Head of the Department of Innovation and Commercialization. We gained insights about Georgia’s innovation driven companies and discussed the value of high potential ideas. 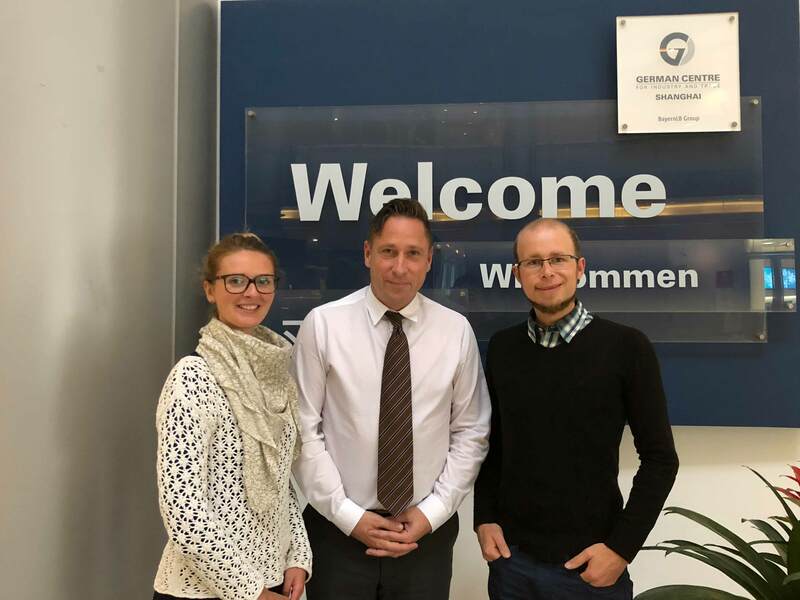 AHK Georgia - With the German association of economy we had a promising meeting about future corporations. Georgia has great potential and we are willing to support and enable ModernWork in this beautiful country. Huge German companies have branches here as well. 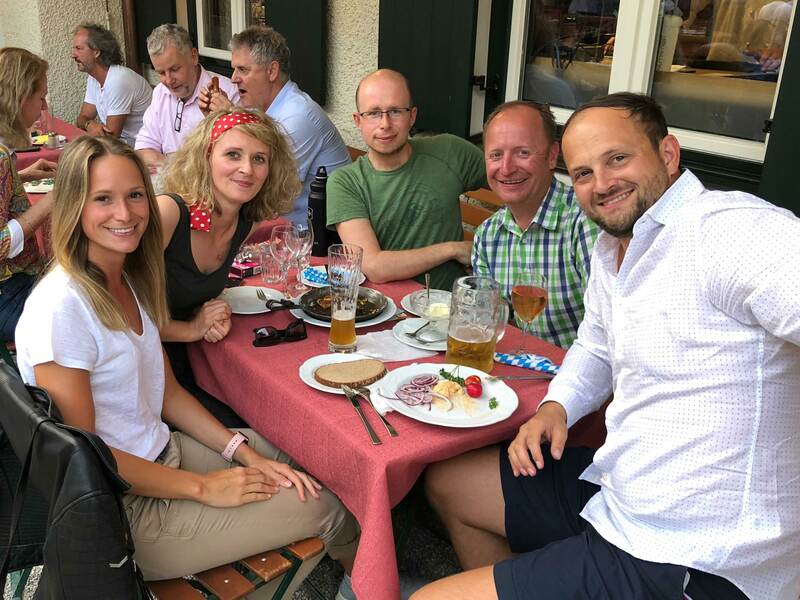 DVV International - We met with the DVV International team from the whole Kaukasus Region which is huge. 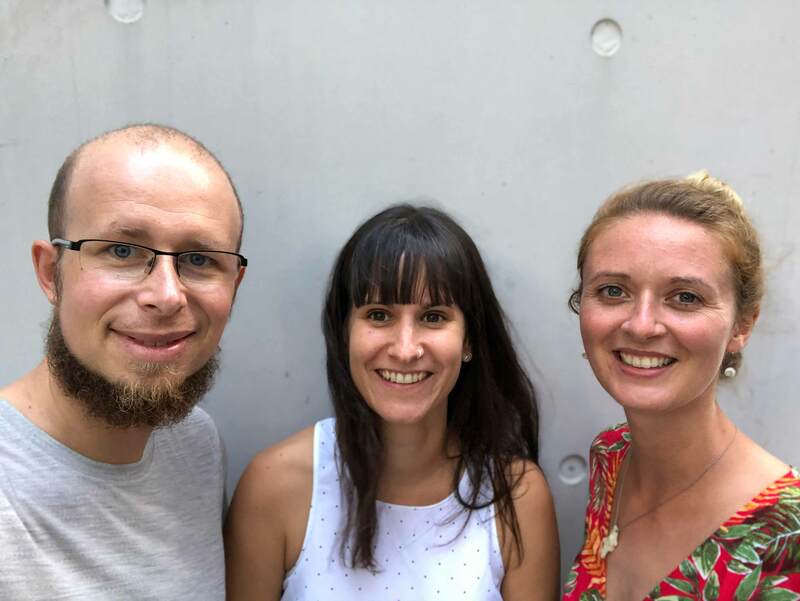 They really liked our portfolio and we plan some workshops for next year regarding innovative formats and methods and its adaptation for learning contexts. 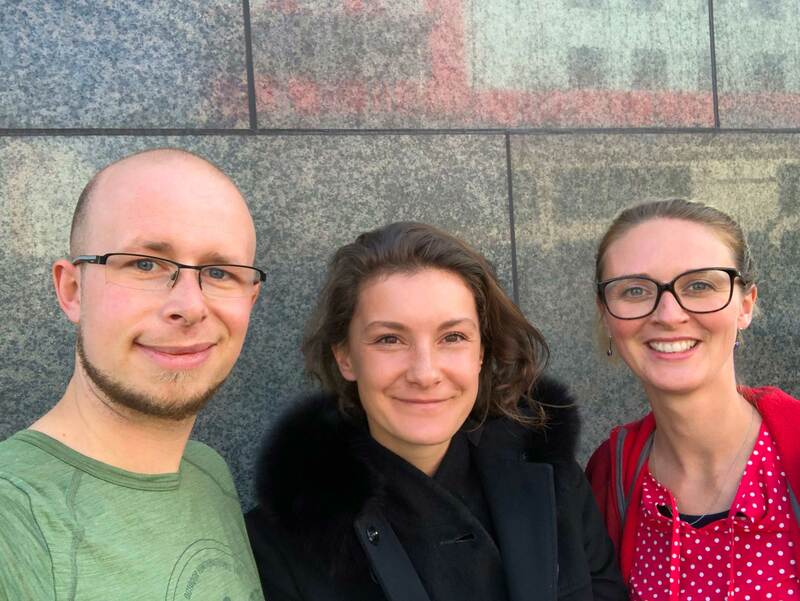 Coaching meetup - We met wonderful Jules, somewhere in middle of Bulgaria. Had very intense and constructive discussions about selfleadership, the balance between purpose-driven work and the freedom to choose what you really want. We really got encouraged here. 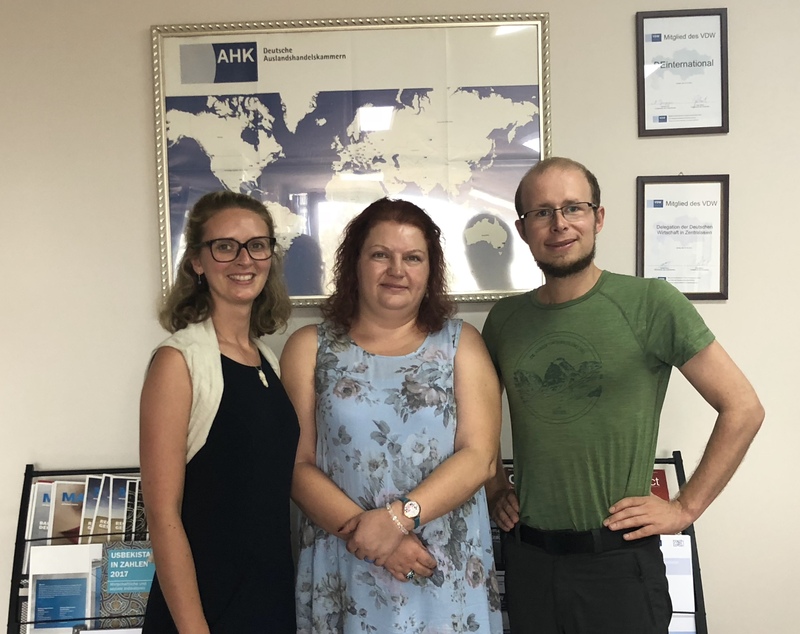 AHK Macedonia - We met the managing director of the chamber of foreign trade and had a long and intense discussion about ModernWork and its implications. Furthermore we found constructive common ground for collective future collaborations. 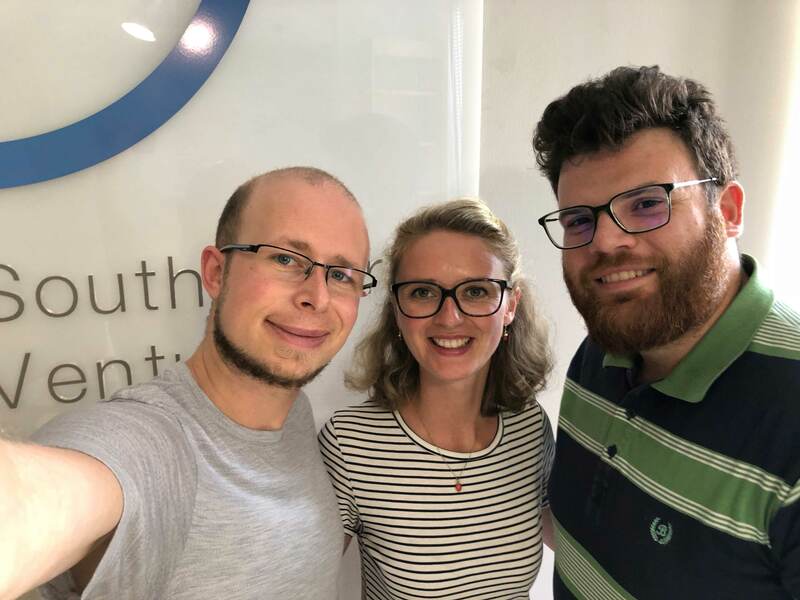 South Central Ventures - We met Igor for an interesting discussion about the Macedonian startup scene. 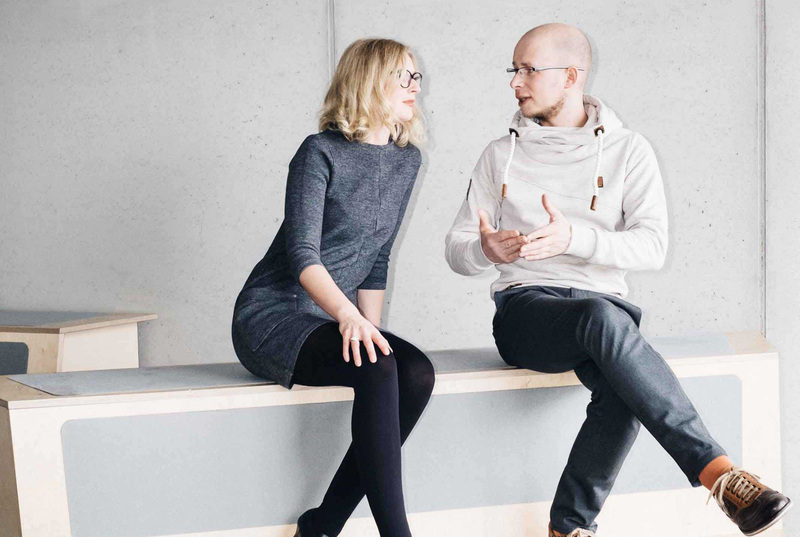 In our interview we talked about requirements for startups to get venture capital. Igor has deep knowledge about the business side of creating and scaling startups. 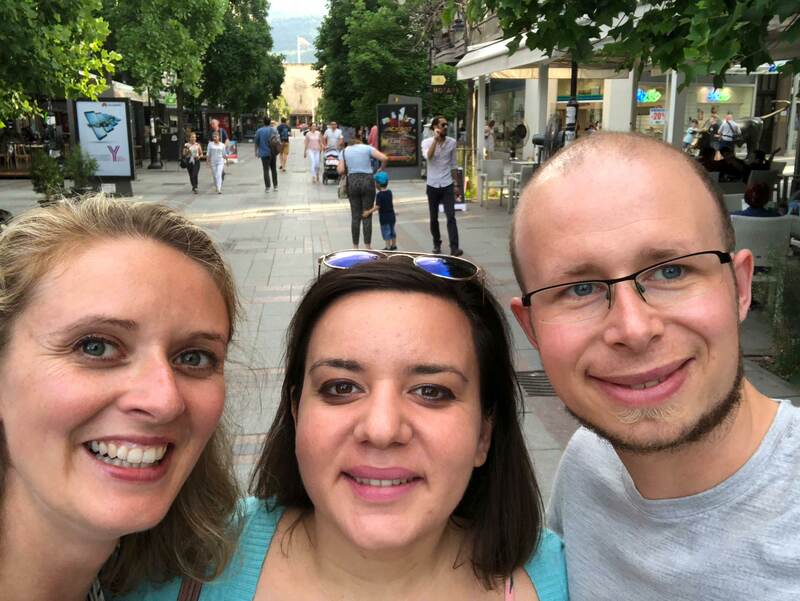 Swiss Contact - We met the lovely Nina, who is responsible for the Swiss entrepreneurship program in Macedonia. 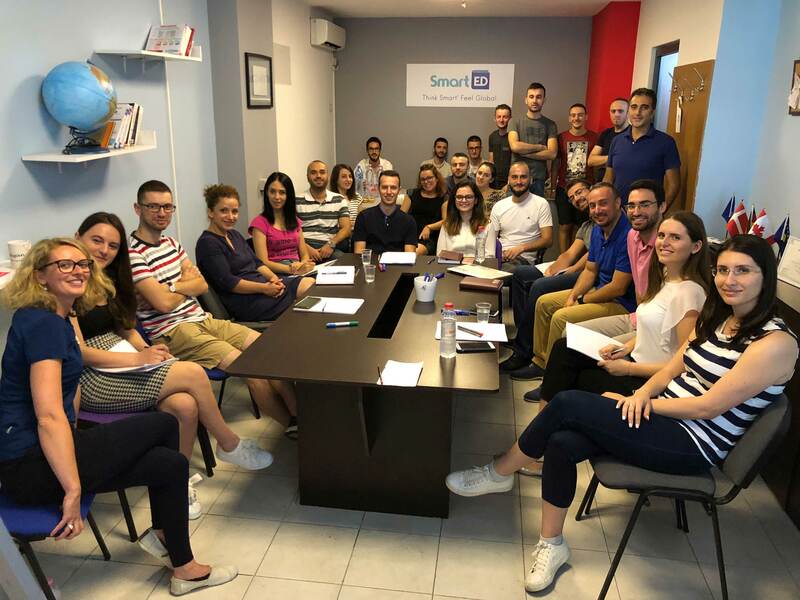 We were able to gain deeper insights into entrepreneurship in Macedonia with all its benefits and pitfalls. We will probably work on something together. 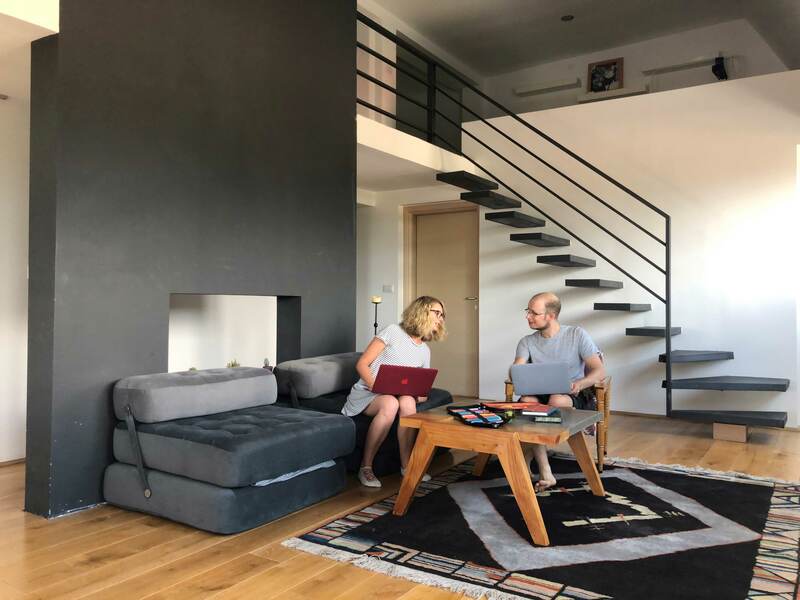 Loft Sessions - After a successful week in Tirana we rented a really nice loft in order to have a place where we can work hard and productive and at the same time enjoy our time. It worked out quite well, we were really successful and able to put many topic in the ‘done’ column. 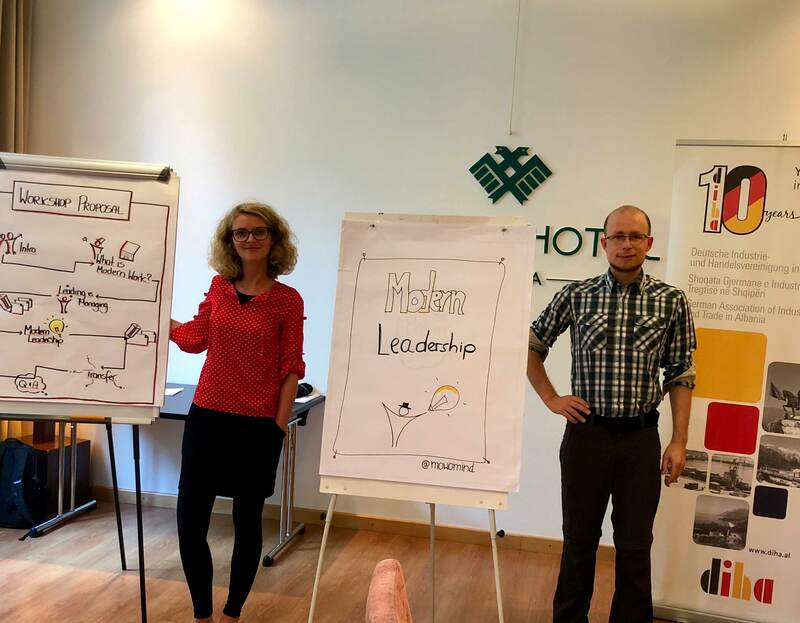 DIHA - The German federation of industry and commerce and MOWOMIND teamed up for the training ‘Modern Leadership and ModernWork’. Participants were key persons from big companies in Albania (German and Albanian ones). Thank you DIHA for this opportunity! 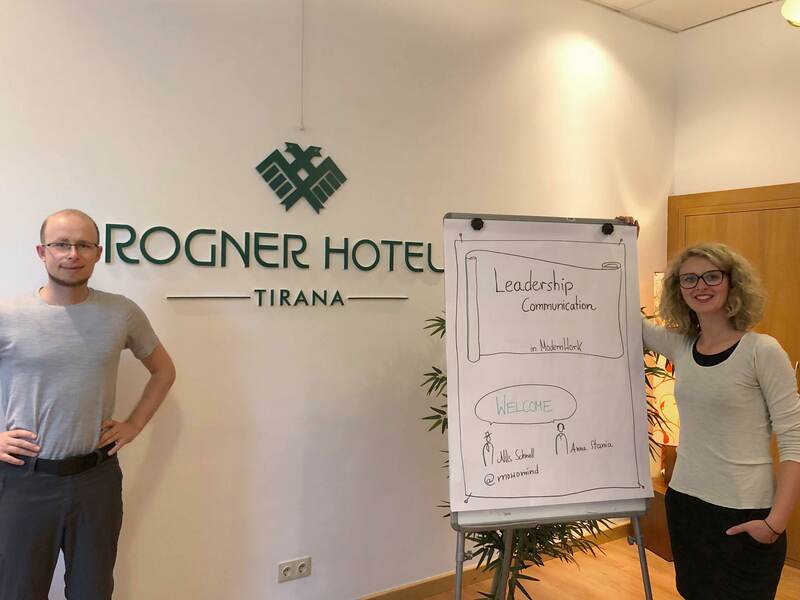 Rogner Hotel - The best hotel in Tirana with more staff than we thought. We trained the department leads. Topic of the training was ‘Leadership Communication’ and how to create an environment where team members can have room for development while doing an excellent job. 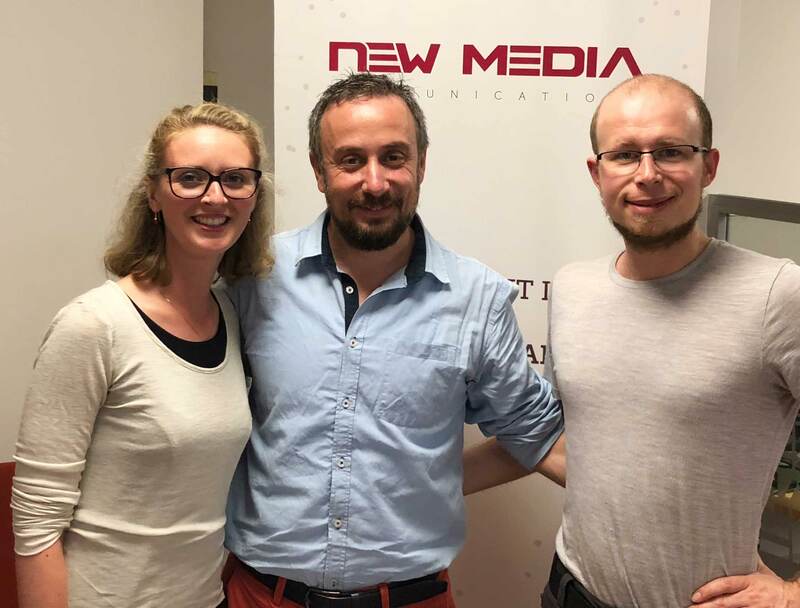 NewMedia - We did a training about ‘good team-communication in times of growth and change’. NewMedia grew during the last years and works now also for international companies. We enjoyed the training with even more participants than expected. 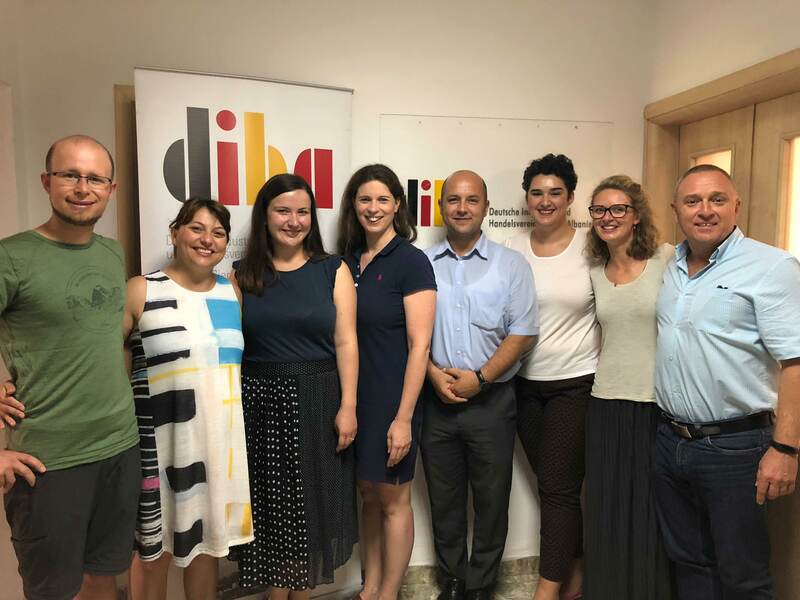 DIHA Team Workshop - The DIHA is in a change itself. We were able to do a team workshop with them. We created an agenda with a mixtures of input regarding communication models and enough room for reflection rounds and intense discussions. 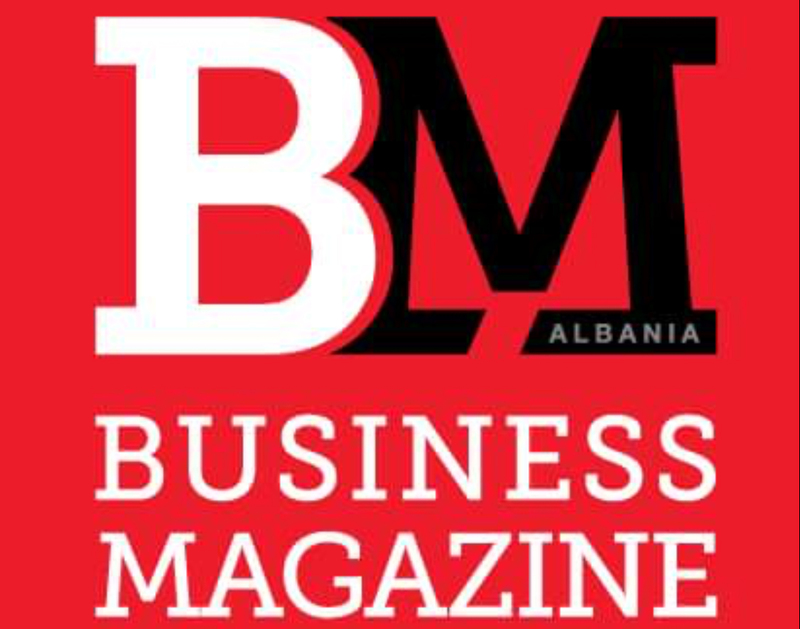 Business Magazin Tirana - The Business Magazin Tirana wanted to do an interview with us in order to share our idea of modern ways of working. 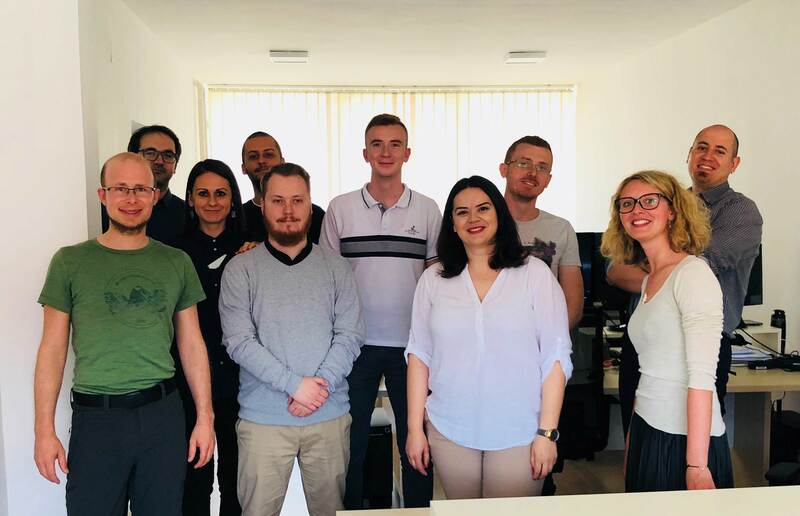 We were touched by the huge interest in ModernWork and were also able to share our experience of the local Albanian startup scene. 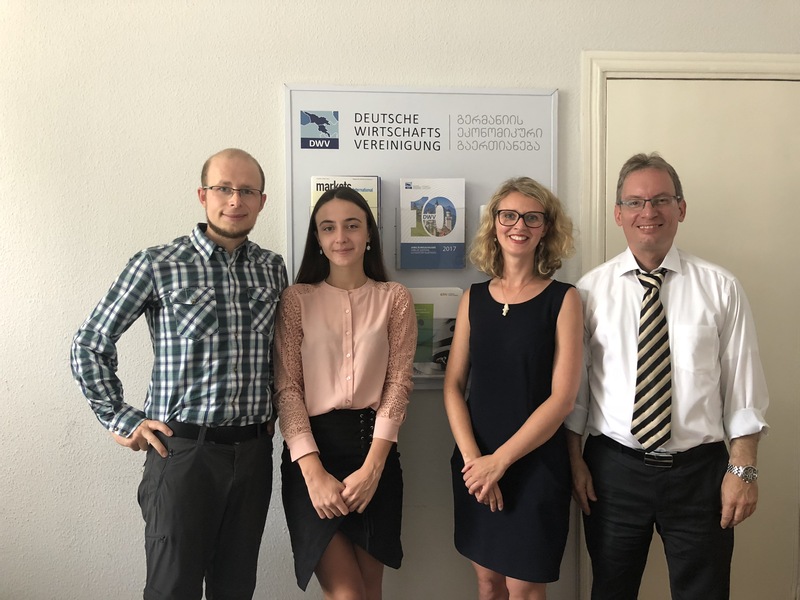 DIHA - We met and teamed up with the German federation of industry and commerce. What a great team! 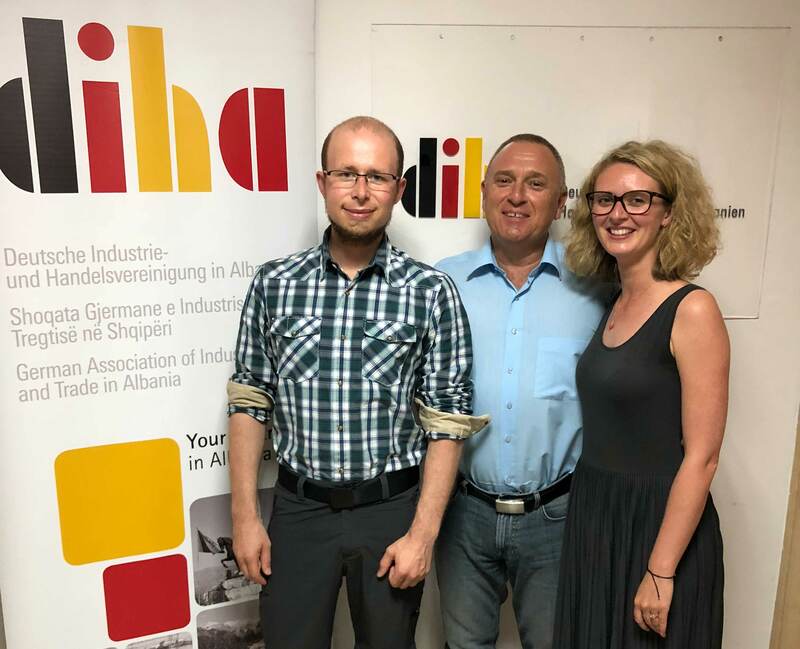 Next to constructive discussions we planned an event for the DIHA members (big German and Albanian companies) in order to show them benefits of Modern Work. 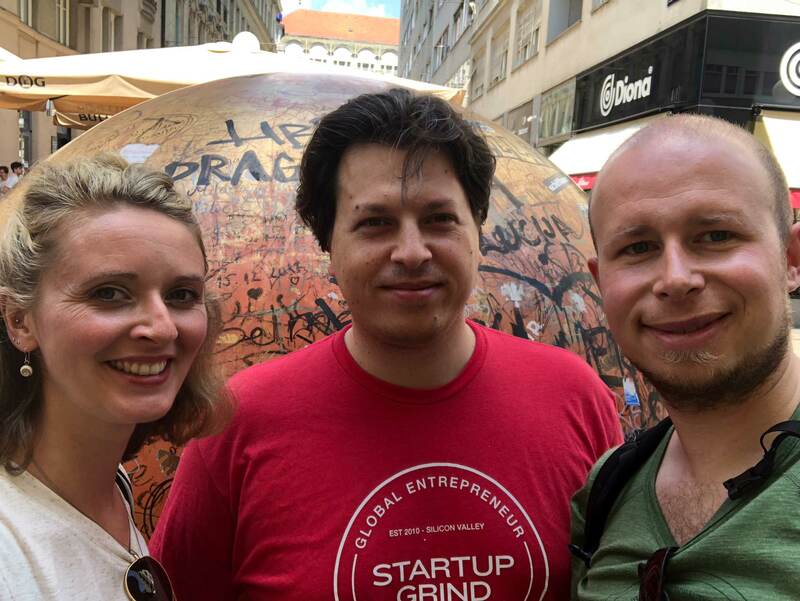 Balkans Capital - We had a wonderful meeting with Aneida, Co-Ffounder of Balkan Capital and highly engaged as the co-director of Startup Grind Albania. We discussed and saw eye-to-eye on mindset, entrepreneur challenges and work-life-balance. Interview included. 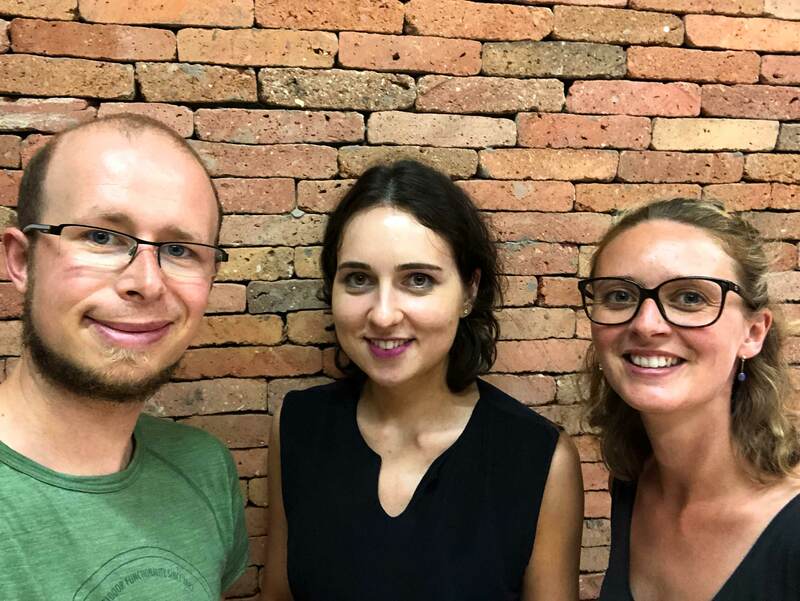 NewMedia - With the co-founder Gerti we had a good time talking about startups, typical challenges that occur and ways how to deal with them. Gerti was excited about our ModernWorkTour offers that we directly planned a training for his company in July. HUB 378 - Generating insights about how to support startups in their early stages through enabling factors. The HUB has even it’s own training program at the Academy 378 and a really smart team. We were impressed by what they do and how they support founders and early stage startups. 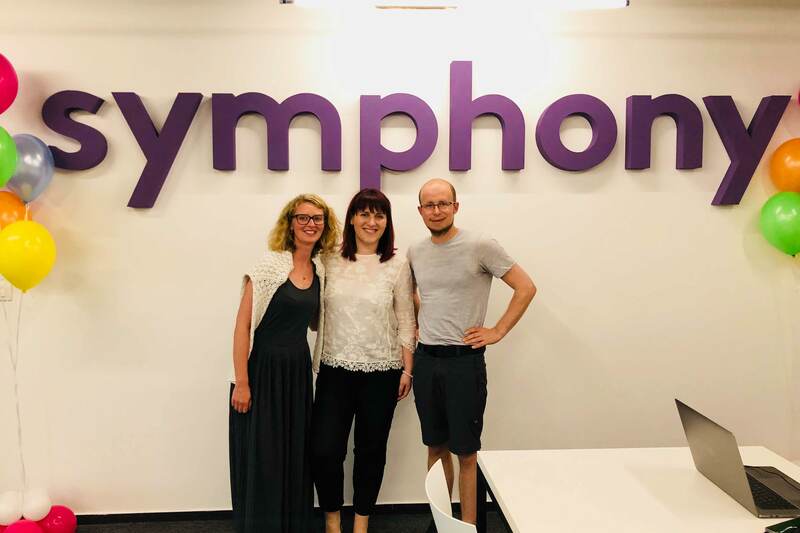 Sarajevo Times - Our first interview on our ModernWorkTour. We were quite happy about this opportunity. Presenting topics we love and share our passion for ModernWork and NewWork. We also pointed out, how important it is to empower companies in their countries. App Impact - Consultation about company growth and new market entry strategies. For growing startups - especially when they are already successful - market entries become a huge topic. Providing insights about the German market and training options was great! 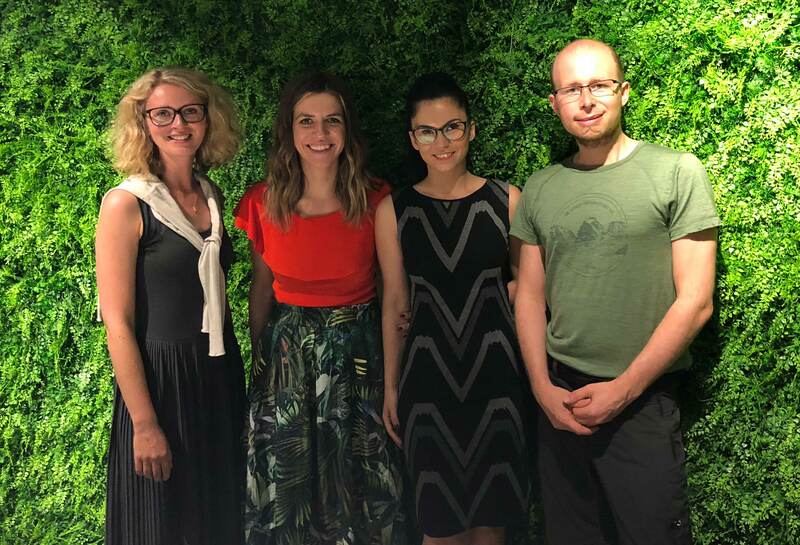 Startups - We had a great discussion with the founders of Habeetat, Balkanvibe and Bookvar about entrepreneurship, startups and ModernWork. The potential of the Balkan Region, the importance of education and why bees are still the future of mankind. We think that especially Haabetat will become a huge success! 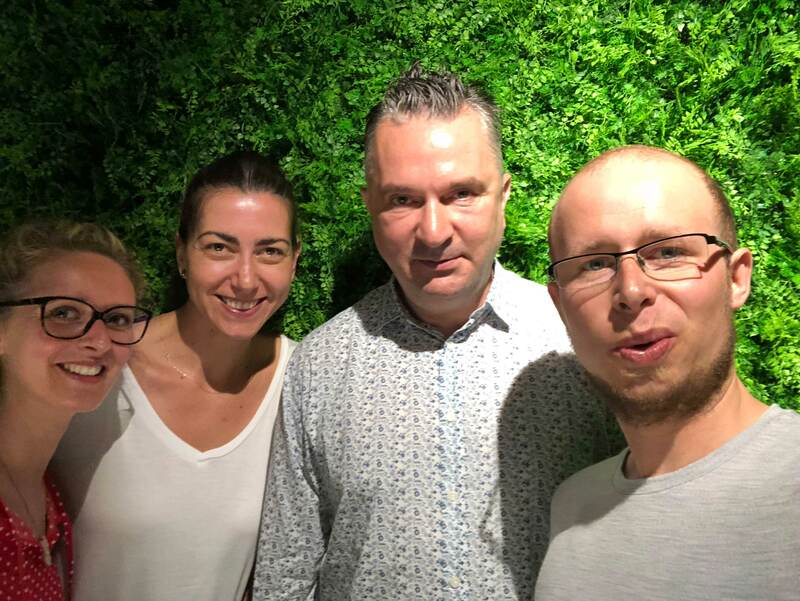 Founder and Managing Director of HUB387 - We had a great and controverse discussion about our USP, the challenge of being outstanding and the future of modern ways of working in Bosnia/ Herzegovina. And we did really interesting interviews here as well. Training will follow. WIP Co-working space - We had a good discussion about how we want to collaborate in the future as individuals. This co-working space is a really good example how young entrepreneurs can use each others strengths in order to improve and develop further. Michael Freer - Interview with the Social Enterprise guru about Social Entrepreneurship and modern ways of leading. One main conclusion after an interesting discussion and the interview is that all startups should at least take the mindset behind it into consideration. Start up Grind Croatia - Discussion about startups and basic supportive environments. Gaining insights about the local IT environments with its difficulties and pitfalls. Creating ideas for new approaches how to set up a scalable startup. Trinity Dynamics - We met the young and dynamic team of Trinity Dynamics. 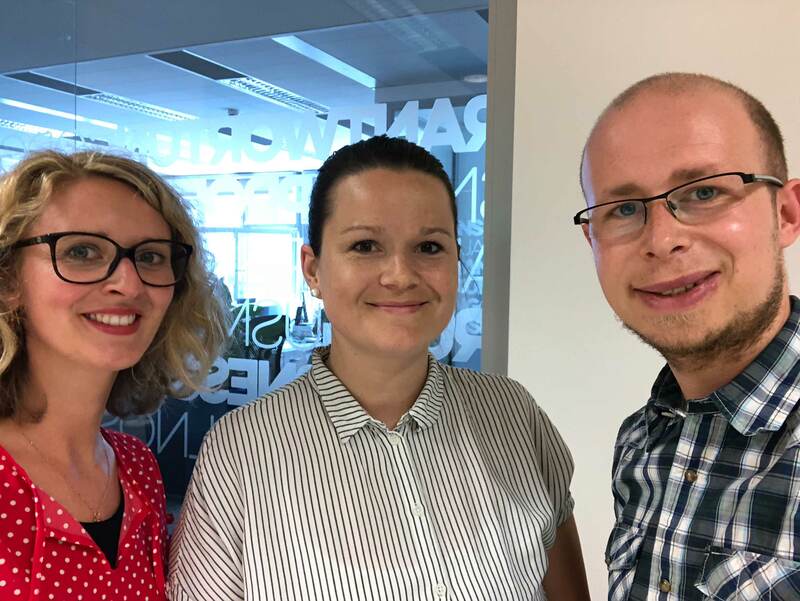 We had an interesting knowledge exchange about how to work as a freelancer remote-team in the IT sector. Plenty of opportunities. Let’s see what they will be able to do in the future. 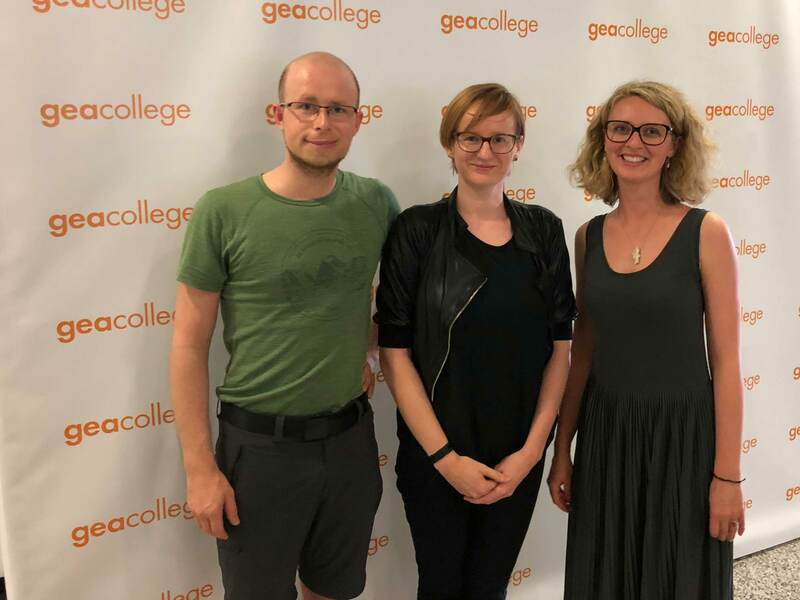 GEA College - Knowledge exchange about Entrepreneurship and modern ways of working. Discussing possible ways of supporting the GEA College in the future through webinars and seminars. Interesting place to be for young and passionate people. 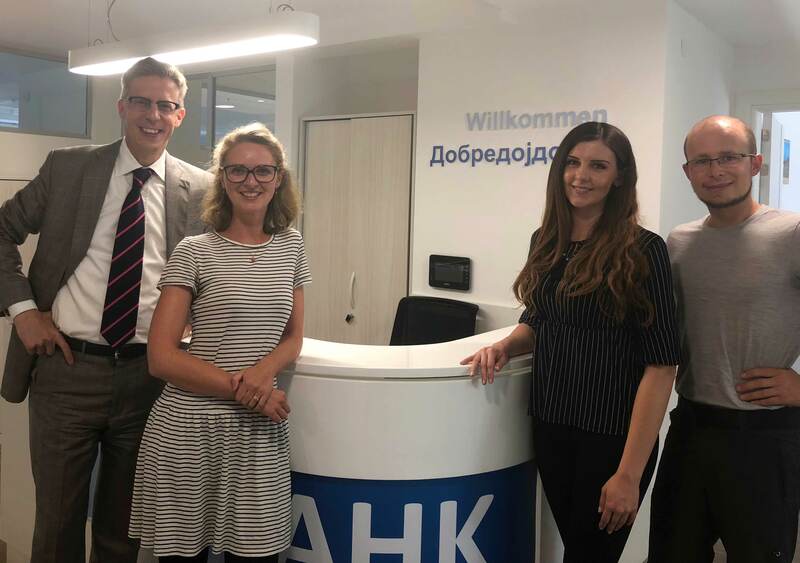 AHK Slovenia - Knowledge exchange about ways how to support German companies in the Balkan countries. This Chamber of Commerce and Trade was the first one that we visited on our ModernWorkTour. As an outcome great insights and possible future cooperations! Individual Coaches - Discussions about how to support leaders best. 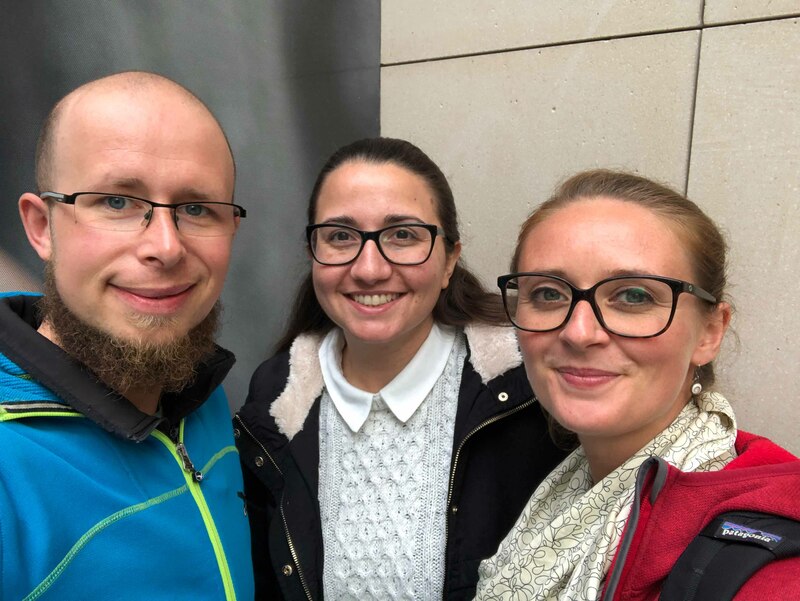 We met colleagues from the south of Germany that we don’t see that often. As a start for the tour this was really nice. Familiar faces and new surrounding. Let’s see what comes next. We are on fire! Startups and innovative companies with need for development and improvement. Companies and corporations that are aiming to become more modern and innovative. Universities and Institutes that are interested in ModernWork topics. Knowledge brings practical solutions. Benefit from our impulses. Boost your development. Discover opportunities and go your next steps. Experience development. Resolve your blockades. Unfold idle potential. Increase awareness and reflection. Keep balance and set your goals. Learn something new. Develop your soft-skill expertise. Improve as a company. Grow together as a team. Master your challenges. Get new impulses. Invite us for ModernWork knowledge sharing. Get insights in our experiences. 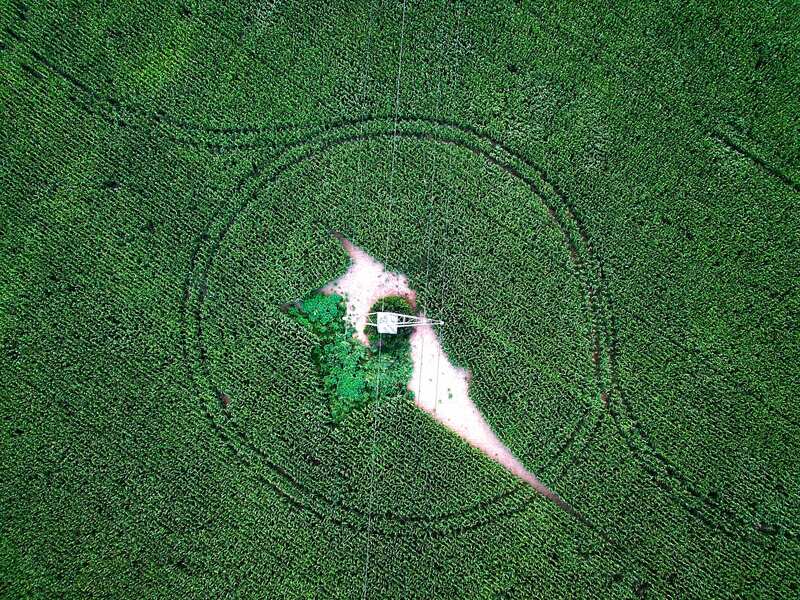 Connecting the dots with our knowledge. We can meet, exchange experience, and no doubt you can recommend us to other interesting startups and companies. Please write us what would benefit you the most and how we can support you! Your company has new leads. They are quite good in their profession but lack some communication knowledge. With our training for leads we help you take the next step in leadership development. We stay for three training days and support you on the spot! Your company needs to change due to digitalization and new requirements regarding structures and formats. You need consulting and impulses how to improve and chance in short time. We provide our experiences and help you come up with solutions and new ideas! A few of your specialists are now leads. You and the leads decided together, that they need support in order to reflect their leadership style and develop. Your leads are seeking for international coaches with experience and we are just a message away from helping you! You and your company want to work more modern, more agile but you don’t know how. You are looking for impulses from experienced ModernWork experts. Excited by our #modernworktour you ask us for a talk to inspire you and to share insights with your company! 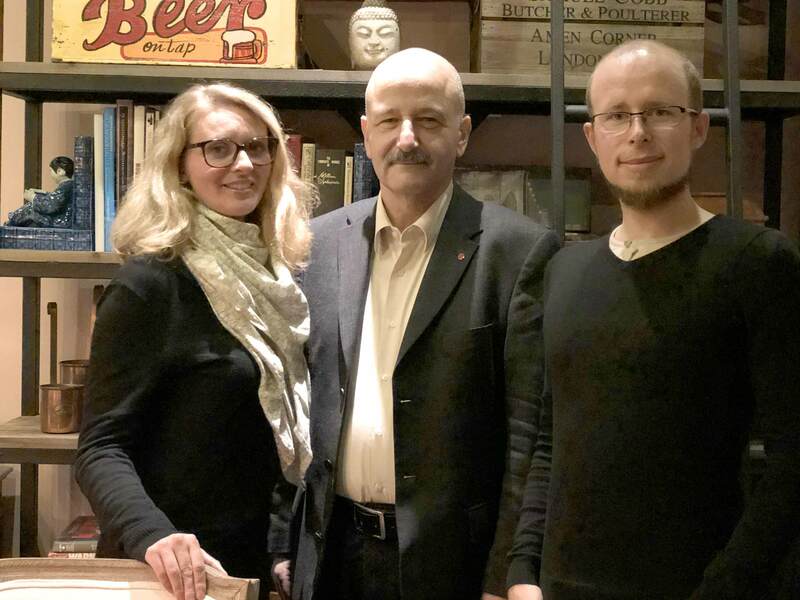 Wir freuen uns, gemeinsam voneinander lernen und mit euch in einen konstruktiven Austausch gehen zu können. So kann ModernWork lebendig miteinander gestaltet werden. 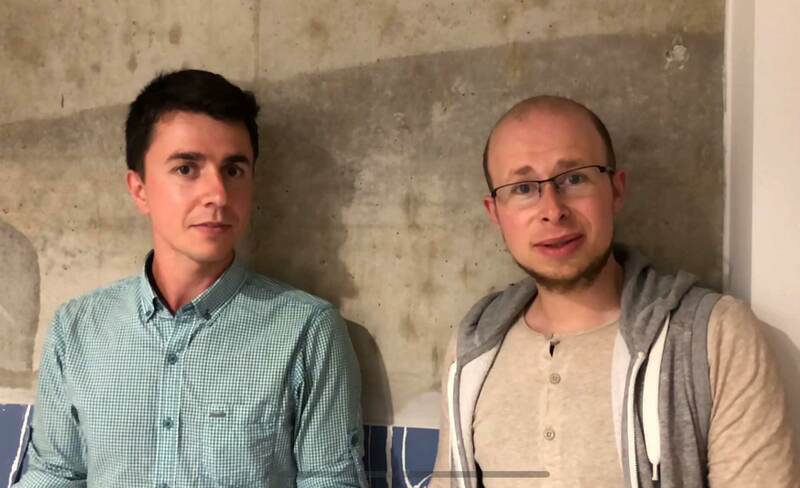 Schau bei unseren Angeboten vorbei oder kontaktiere uns direkt!